This is not a piece about specific exhibitions, more about the gallery spaces on a certain, very fashionable road – Dover Street! Dover Street is happening. It’s always been on the right side of trendy but now the art market is really moving in and it’s another enclave of galleries, fashion, clubs and restaurants. Dealers and business owners must be waiting eagerly for leases to become available. I first began working on Dover Street at the Air Gallery for Rob Ryan’s The Stars Shine All Day Too at the end of 2010. 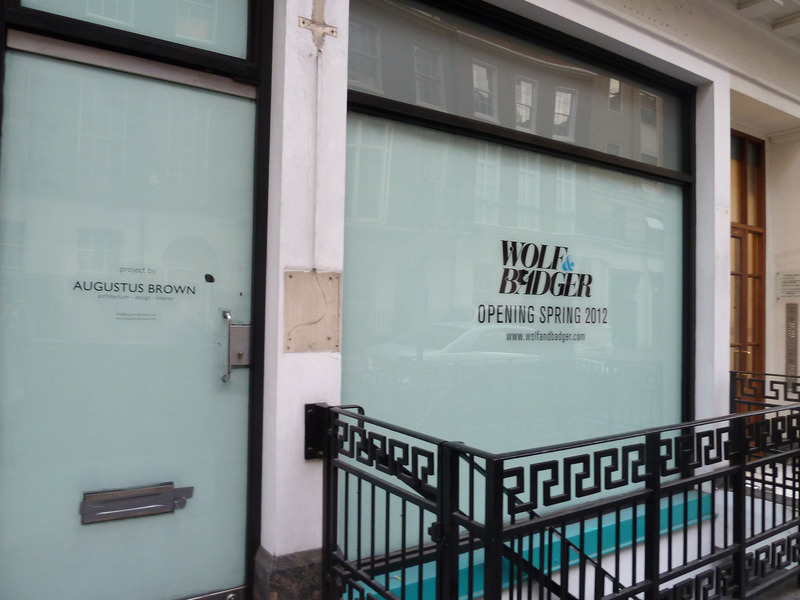 Unfortunately, due to rising rents, the Air Gallery has been taken over by Wolf & Badger (which will open shortly). Wolf & Badger. Own photograph. So, although I know this street well, I wanted to have a stroll to see how it’s developing. Starting at the Piccadilly end, I popped into Alon Zakaim’s new space. 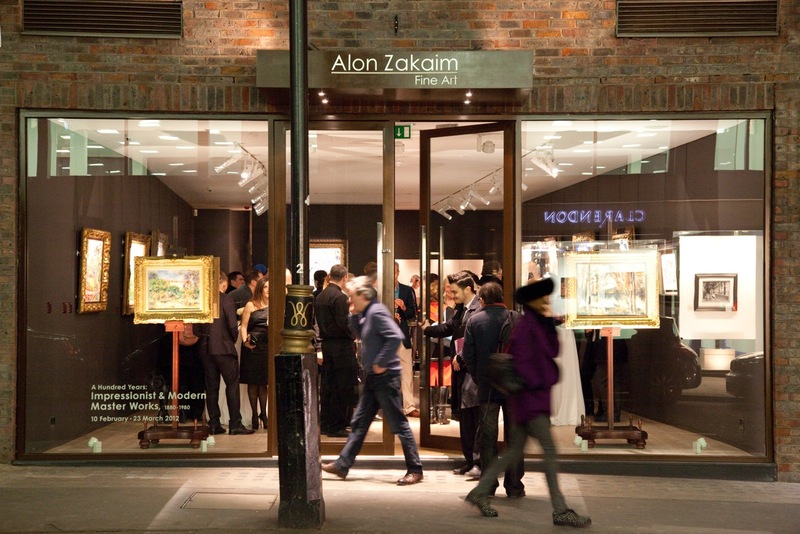 Zakaim opened his gallery on Cork Street in 2006 at the address of Peggy Guggenheim’s first London gallery. 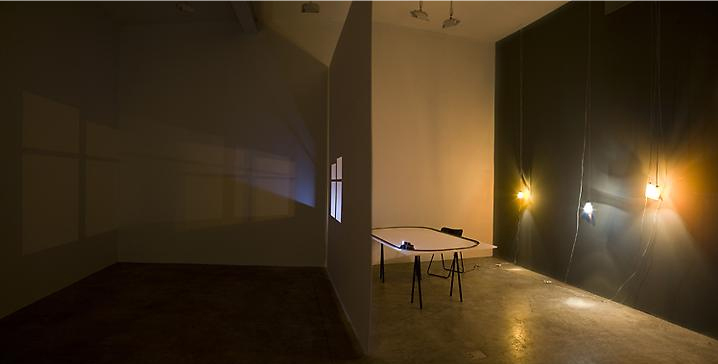 His second space shows the gallery’s development; a good ten times bigger than Cork Street, Zakaim has transformed what used to be Alexia Goethe into a striking new gallery with dark walls, wooden floors focused lighting and a reflective atmosphere. Although it’s too big to have the intimacy of his first space, the gallery does envelope you in a private, but friendly, atmosphere. It has been designed to show off top quality art and it does just that. Their opening exhibition covers 100 years of art history including a handful of top names to demonstrate their prestige. Alon Zakaim Fine Art. Image courtesy of Rob Ewen and via www.alonzakaim.com. Directly opposite is Clarendon Fine Art where I was greeted warmly on arrival and complimented on my shoes. I knew, at that point, that I’d struck a winner here. Their space is also stunning but about as different from Zakaim’s as possible with split levels and bright lights. Clarendon tend to follow a pattern of solo shows to highlight one of their established gallery names, interspersed with two-week mixed exhibitions to show off their less prominent stable of artists. It’s an elegant space with a tempting looking bar installed at the back. They aim to introduce contemporary art to a wide-ranging audience and their artists include the likes of crowd-pleaser Rolf Harris. 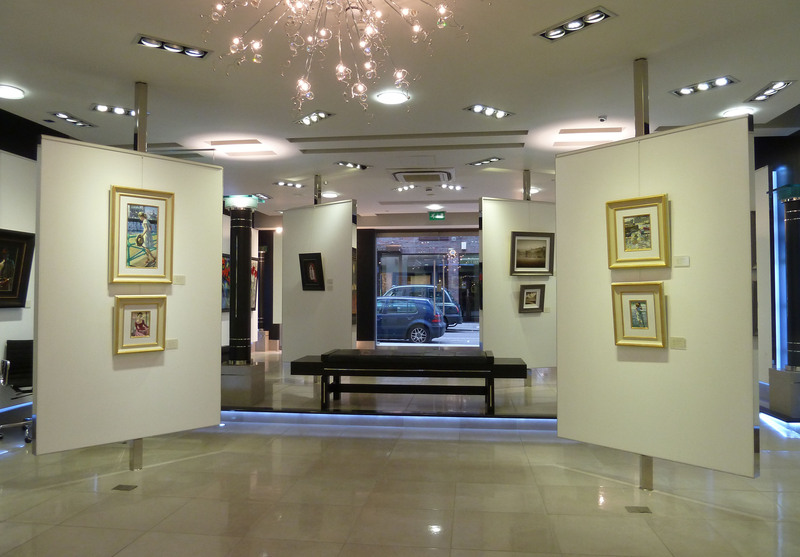 A mixed exhibition at Clarendon Fine Art. Own photograph. Heading up the street I passed the Arts Club, still the hot spot of Mayfair since its refurb and relaunch and the current place to be seen and sip a drink watching the gliteratti and the art world elite. Next up, occupying the space where Richard Green used to be, is another newcomer – Gazelli Art House, run by a dealer from Azerbaijan. Azerbaijan has been in the arts press recently, since the launch of the 012 Baku Public Art Festival at the end of February where 20 local artists are working on site specific projects across Baku, presenting newly-commissioned, public work. The works will be unveiled every Friday until September, embracing Baku’s heritage through contemporary culture. Most of us cannot even spell Azerbaijan on first attempt, let alone explain where it is so it’s bizarre to see its art suddenly being propelled into the public horizon. 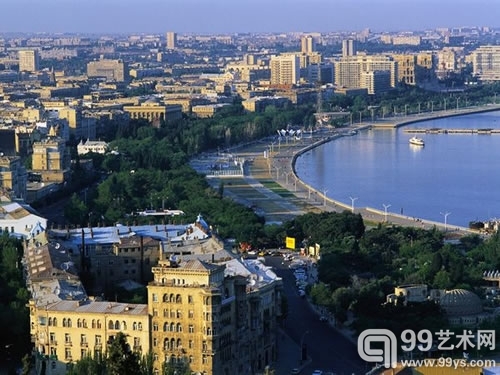 Azerbaijan will also be more press conscious as hosts of the Eurovision this year and wish to send out a very positive image of their city. Since moving to London, director Mila Askarova ran a number of pop-up spaces and has now launched Gazelli’s first permanent London space. The actual gallery space is quite small; most of the building seems to be closed off for private viewing. Gazelli’s inaugural exhibition includes a mix of six international artists one of whom is Shan Hur, a young Korean artist who I spotted at his graduate show in 2010 and picked as one to watch. Gazelli Art House. Own photograph. 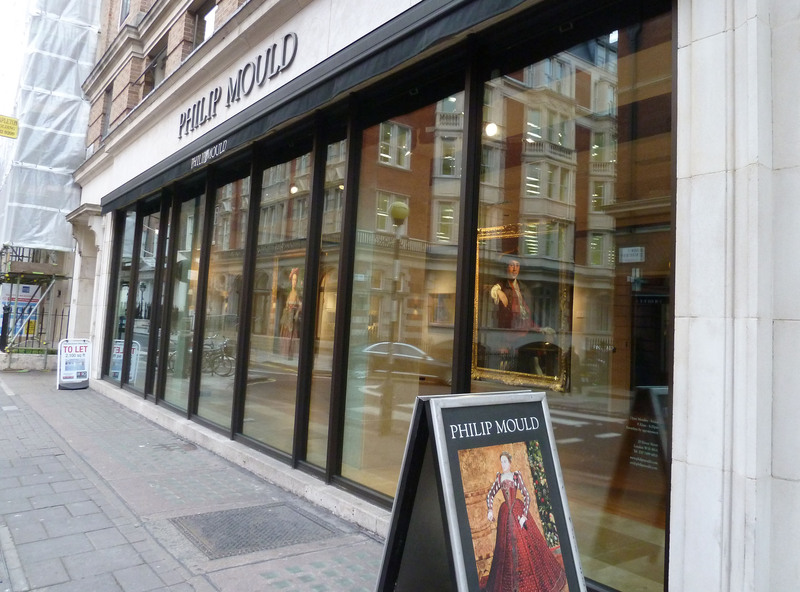 Crossing the road again and walking up past Dover Street Market and Brown’s Hotel, I arrived at Philip Mould – one of the original incumbents of Dover Street and a leading specialist in British art and Old Masters. Mould always has an impressive display and his 18th century works – including a rather lovely Gainsborough and Kauffman – made me swoon. Passing Hay Hill, which offers yet more galleries, I headed up the street. 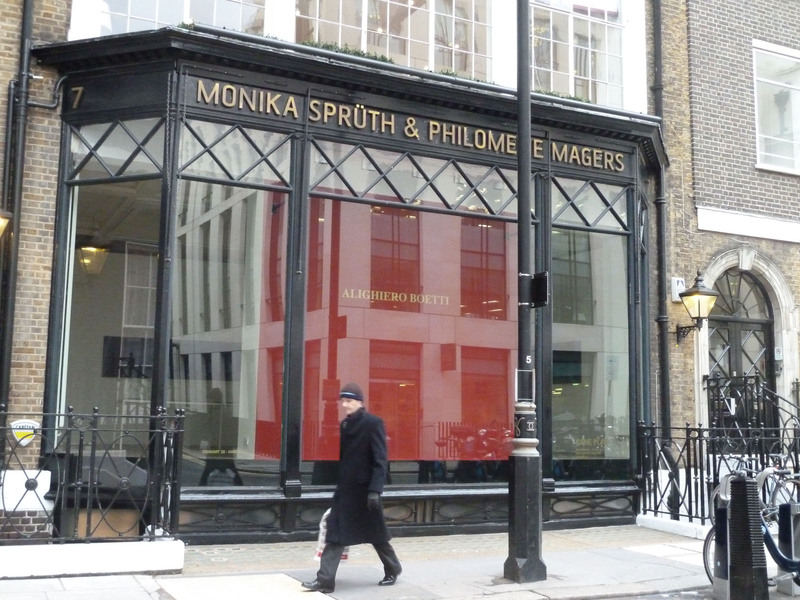 As Dover Street turns into Grafton Street, Spruth Magers crowns the street. Housed on Dover Street since 2003, the gallery represents a handful of internationally-renowned artists and their current Boetti show complements Tate Modern’s retrospective. 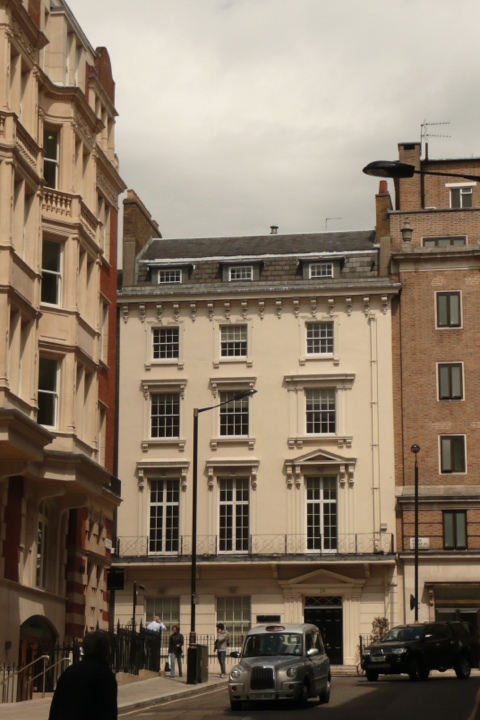 Two more prestigious dealers are set to open here and, this October, the 18th century townhouse at number 24 Grafton Street will be taken over by David Zwirner. This will be another gallery with an historically important location; prominent past residents include Lord Robert Cecil, the 3rd Marquis of Salisbury (who was twice Prime Minister) and Helena Rubinstein. Spread over five floors, the gallery will have almost 10,000 square feet of exhibition space. Grafton Street. Image via www.fadwebsite.com. 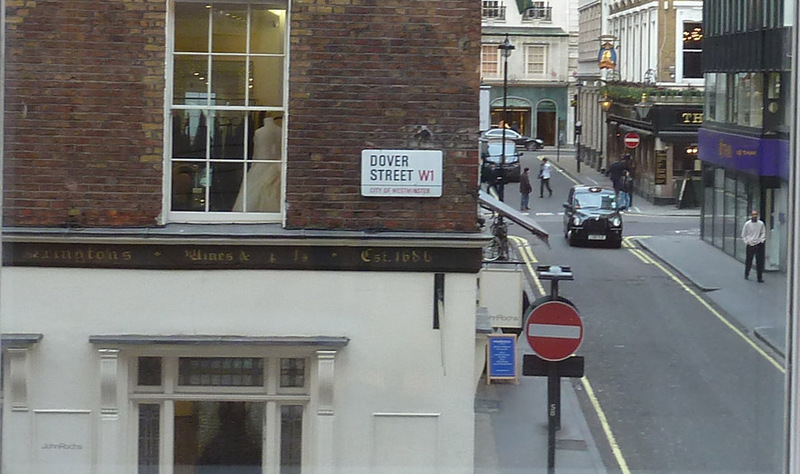 Of course, just a stone’s throw from the wonders of Cork Street, Old Bond Street and Savile Row, the development of Dover Street is only natural. There’s a real buzz building and it’s not to be ignored. It was time to stop for tea at Aubaine, a contemporary French bistro, boulangerie and patisserie, recently opened in the place of Chez Gerard on Dover Street. It’s a bit quiet and lacking atmosphere at the moment but, no doubt, in time it will become more popular as they are serving the most amazing Nutella crème brûlée pots that are guaranteed to tempt even those without a sweet tooth. It was a sunny spring day and I hopped off the tube at Angel for a stroll to lunch at Byron, opposite the Business Design Centre, before heading to the Estorick for their latest exhibition of Alberto Burri. But wow! I always forget quite how long Upper Street is and this is not a walk to be undertaken by the faint-hearted. The Estorick is at the Highbury and Islington end of the road and there is a good reason why this street is serviced by two tube stations. By the time I eventually arrived, I imagine I looked a little worse for wear. As popular as it is, I still feel that the Estorick is one of London’s hidden treasures; it is a small but marvellous gallery that many people have still never visited, including many of my colleagues in the art world. I know that there are always far too many things to see in London but the Estorick is a gem. The Estorick Collection. Image via http://citygirldiariesec1.blogspot.co.uk. I didn’t really know what to expect on entering their Burri exhibition as he is an artist I knew very little about, partly because this is the first major retrospective of his work in this country. In fact, only one of the works in this exhibition is a British loan – a piece owned by Tate who currently house it in storage. Made of acrylic and collaged hessian sack, the painting resembles a field with a burning red sky. Its energy appeals to all our senses. Burri is known and admired internationally (and a work of his recently sold at Sotheby’s in London for over £3 million) but people seem to have had difficulty placing him in art history. So, perhaps this is why he has been sidelined but this exhibition seeks to change that and open our eyes. 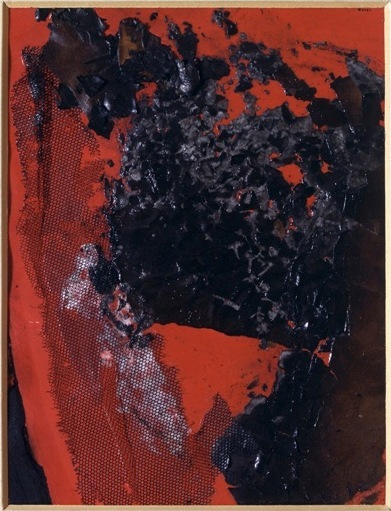 Alberto Burri, Sacking and Red, 1954. Image courtesy of the Fondazione Palazzo Albizzini, Collezione Burri and Città di Castello and via www.estorickcollection.com. Initially working in an Expressionist style, Burri’s work developed swiftly. He quickly abandoned this mode and began exploring the boundaries of the two-dimensional nature of wall-mounted artwork. 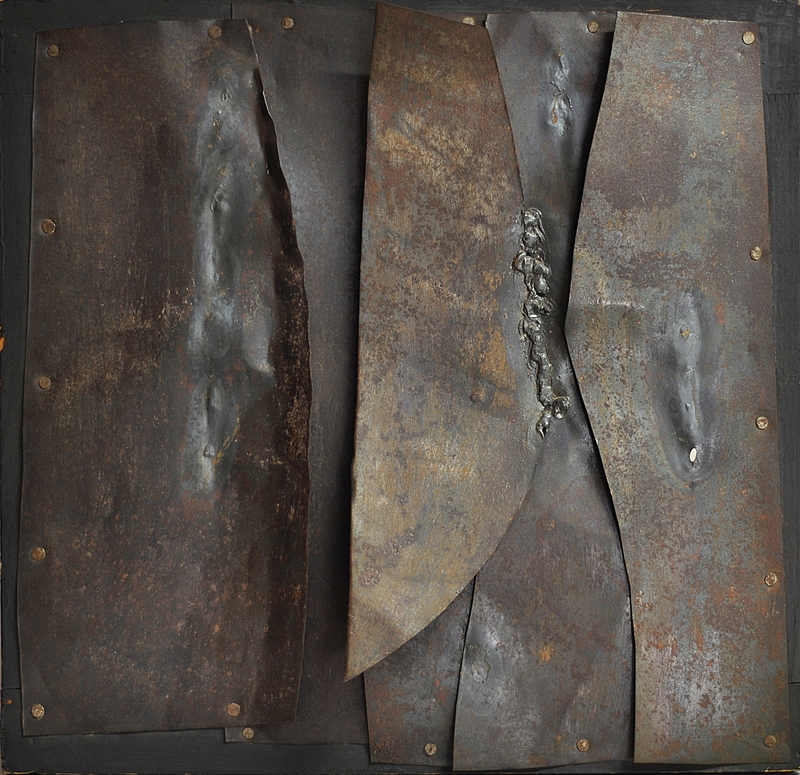 The first piece I encountered was iron on painted wood and stretcher – a dark and truly emotive work with textures that really grab you and don’t let go. 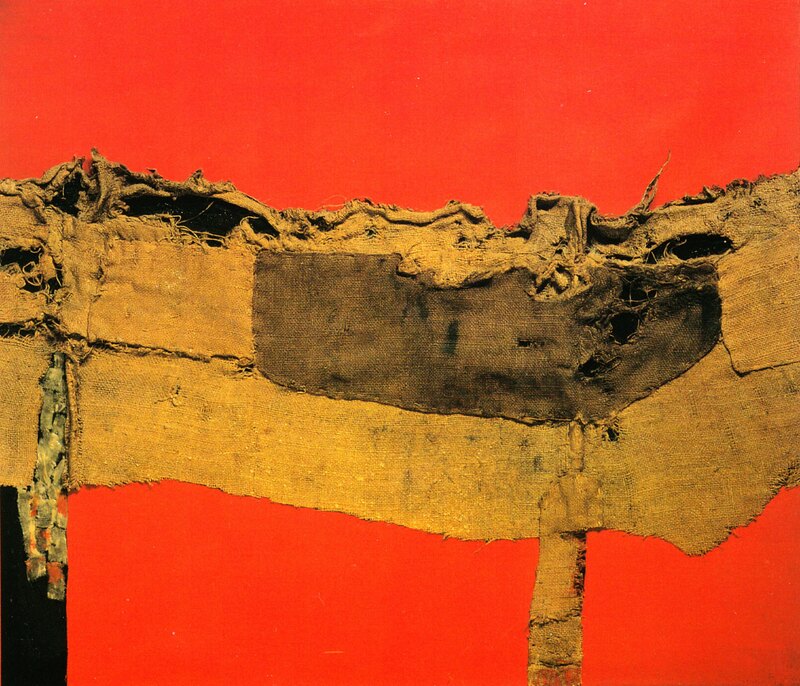 Burri is famous for using such unorthodox materials as sacking, twine and PVA glue. I’m a fan of heavily textured works anyway but these pieces have a new depth to them enhanced by Burri’s abstract vocabulary. Alberto Burri, Iron, 1960. Image courtesy of the Fondazione Palazzo Albizzini, Collezione Burri and Città di Castello and via www.estorickcollection.com. 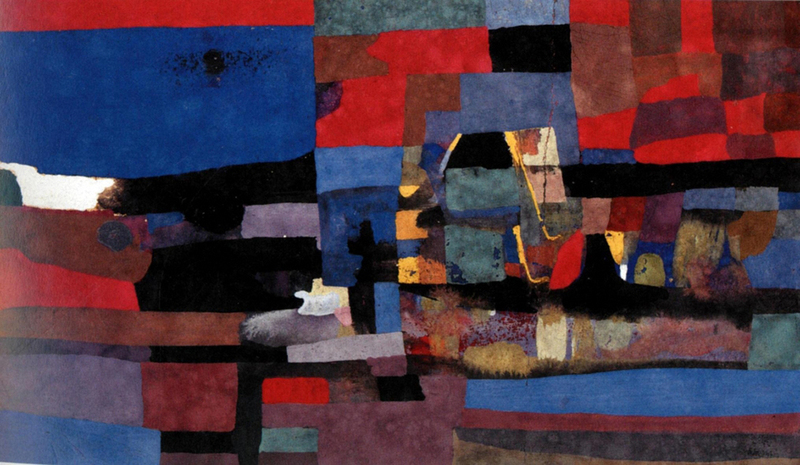 The first room also includes a selection of his Klee-like tempera on card and paper works. Although these are more intimate, they lack the passion and dynamism of the more striking mixed media works. Alberto Burri, Untitled, 1952. Image courtesy of the Fondazione Palazzo Albizzini, Collezione Burri and Città di Castello and via www.estorickcollection.com. Room two opens with Black from 1961, another powerful and dynamic canvas. Burri constantly plays with surface; the Cretto works, with zinc oxide and PVA glue on cellotex, look like giant crevices splitting the earth yet they retain a harmonic delicacy, exemplifying Burri’s skill. Alberto Burri, White Cretto, 1975. Image courtesy of the Fondazione Palazzo Albizzini, Collezione Burri and Città di Castello and via www.estorickcollection.com. Burri’s interest in unconventional materials was, in part, inspired by Umberto Boccioni’s 1912 Technical Manifesto of Futurist Sculpture in which he exhorted artists to reject the exclusivity of such materials as bronze and marble. Burri has certainly taken this to heart (or as I accidentally wrote in my first draft, taken this to art – spot on I think!) and makes use of simple materials to create his own unique masterpieces. His sacking often resembles lacerated and stitched flesh which some scholars have suggested may be autobiographical, referencing his own medical background. Burri was trained in medicine and had served as a doctor in North Africa during the Second World War before being taken prisoner in 1943. It was here, interned in a camp that Burri began to paint with materials supplied by the YMCA. As well as this medical interpretation, other works invite political readings while some resemble the landscape of his Umbrian homeland enhanced by his use of earthy colours. But, Burri dismissed analysis that gave the works symbolic value. For him, it was about the simple integrity of material and the work’s formal quality; he said its meaning was to be found within the composition and nowhere else. Alberto Burri, Sack, 1954. Image courtesy of the Fondazione Palazzo Albizzini, Collezione Burri and Città di Castello and via www.estorickcollection.com. From 1954, Burri introduced fire to his work – charring, scorching and melting materials. This development shows his power to manipulate his materials. The exhibition demonstrates the incredible range with which Burri worked. His methods show that he concentrated on one material until he exhausted the possibilities it offered him, pushing the boundaries of what was considered acceptable. Burri’s works are as far from traditional representation as possible; instead, they are an exploration of the aesthetic potential of materials. So much of art is inherently contradictory and Burri is no different – the works are aggressive but romantic and protective. Alberto Burri, Combustion, 1961. Image courtesy of the Fondazione Palazzo Albizzini, Collezione Burri and Città di Castello and via www.estorickcollection.com. The wall labels are perfect, informative without overloading visitors; they help us to understand his life, theoretical approach and the rationale behind his artwork. Burri is recognised as one of leading protagonists of Art Informel, a movement that focused on the instinctive and irrational aspects of the artistic process as much as on the finished product. From the simplest materials, Burri is able to create something monumental and striking, imbued with energy and movement. These are works about process and about the fundamentals of material. Although I didn’t really know who Burri was, he was undoubtedly a master of the 20th century who revolutionised the artistic vocabulary of post-war art. I have long been planning a trip to Sicily and now I have even more desire to go as Burri’s work Cretto is a must-see. 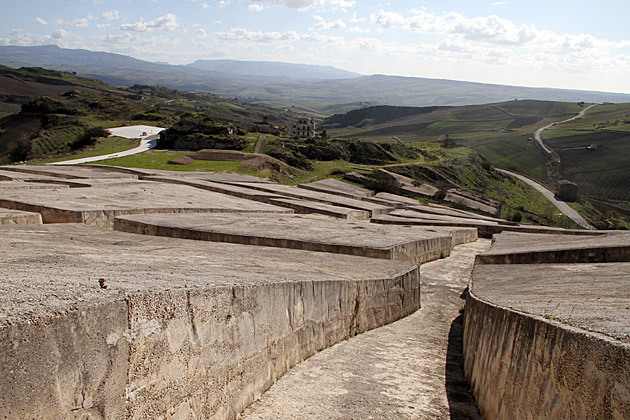 After a devastating earthquake destroyed Gibellina, Burri used the city’s ruins to create a concrete cemetery, preserving the layout of the hillside town. It’s said to evoke a comforting gravestone that transforms a horrific catastrophe into something beautiful and poignant. Alberto Burri, Cretto, 1985-89. Image via http://palermo.for91days.com/tag/cretto-di-burri/. Although only a three-room exhibition (the rest of the Estorick is taken over by their permanent collection), this show was definitely worth the walk. If you don’t already know Burri’s works, it is important to look at them in the way that he intended and to learn about him and his influences afterwards. We may have previously failed to acknowledge Burri as truly important but it is now time to do so and this beautiful exhibition does just that. 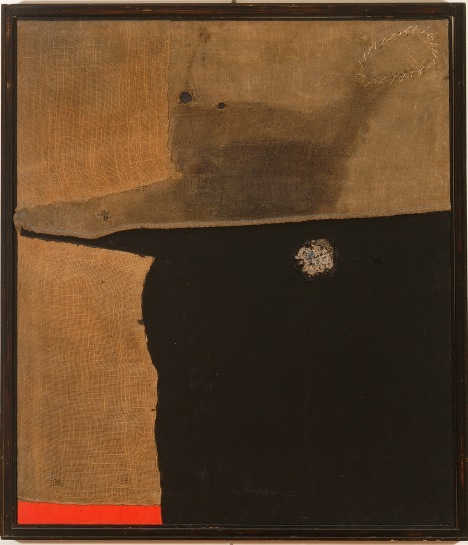 Alberto Burri: Form and Matter is at The Estorick Collection until 7th April, www.estorickcollection.com. I was fortunate to meet and assist Simon Annand during VAULT when he came to photograph the festival one night and I was able to experience first-hand his unique eye and skill at capturing the unseen. 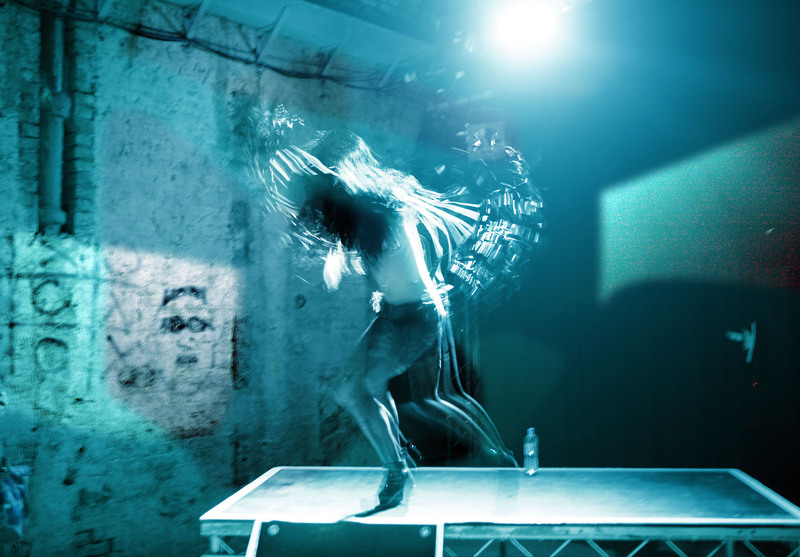 Kindle Theatre’s The Furies at VAULT 2012. Image courtesy of Simon Annand. His images truly reveal the intimacy and excitement of the festival showing performers at their peak, revelling in their characters and new relationships. He shows atmosphere and emotion like no other. Silent Opera at VAULT 2012. Image courtesy of Simon Annand. 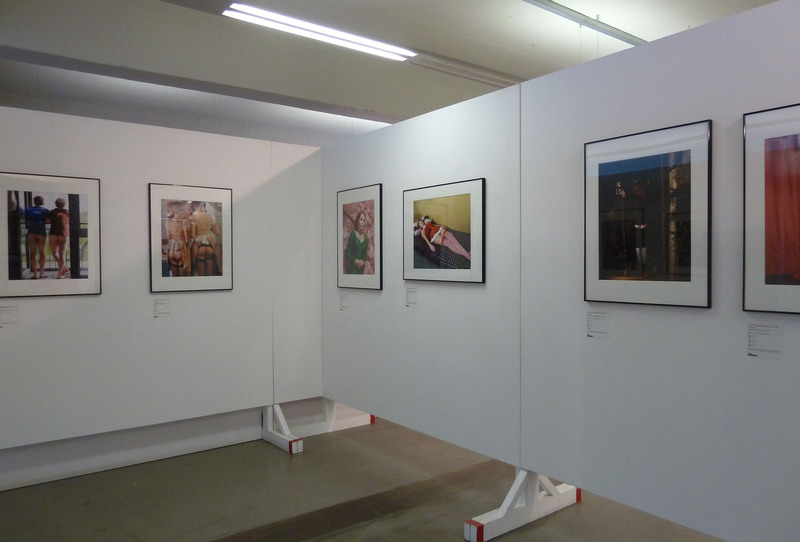 Currently a selection of photographs from his book, The Half, is being exhibited at the Idea Generation Gallery. The work shows the mystery of backstage theatre as Annand captures a moment in the final half-hour before curtain up when the performers are left in solitude, focusing on their performance. This is the time when an actor becomes the character and enters into the psychological negotiation required for such a transformation to take place. The portraits are remarkably intimate capturing a world that is not meant to be seen – the intense physical and mental preparation needed to work on stage. There are nerves, excitement, anticipation, humour, happiness, terror showing the way ‘the half’ affects different people. 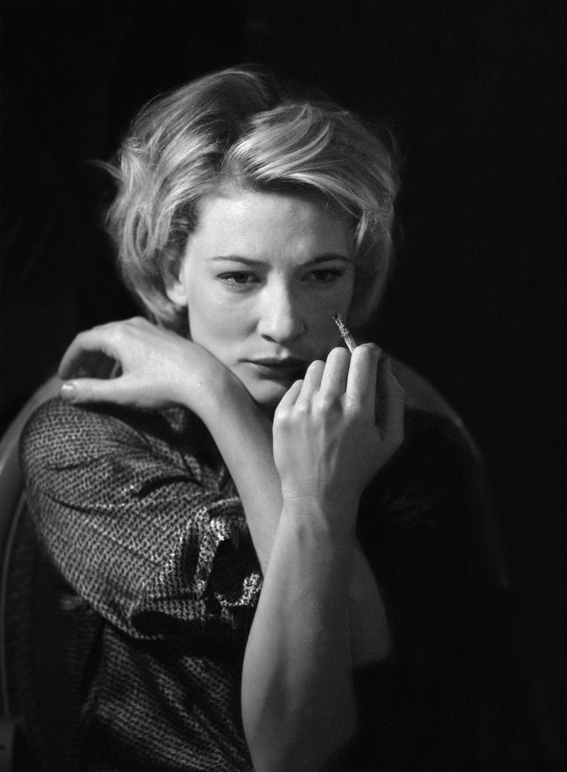 Cate Blanchett, Plenty, The Albery Theatre. Image courtesy of Simon Annand and via www.ideageneration.co.uk. The individuality of the actors is paramount and the juxtaposition of these photographs side-by-side shows off the diversity of their craft. The photographs show the vulnerability of some of the most famous actors of our day as they prepare. Annand’s works are in direct contrast to the posed and Photoshopped media images we are used to. Daniel Craig, A Number, Royal Court Theatre, 1999. Own photograph. James McAvoy, Three Days of Rain, Apollo Theatre, 2009. Own photograph. 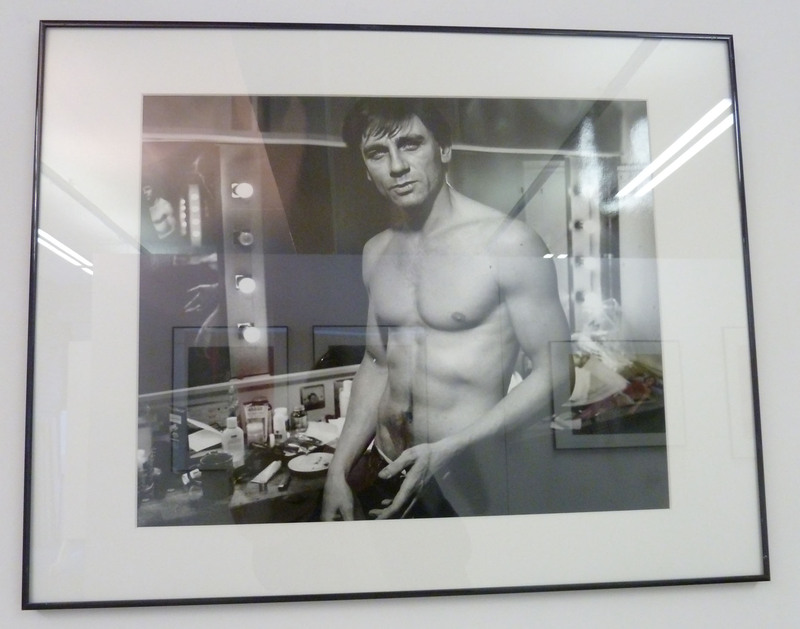 As well as photographs from his book, the exhibition also includes a selection of previously unseen colour works from British theatre and the London stage. 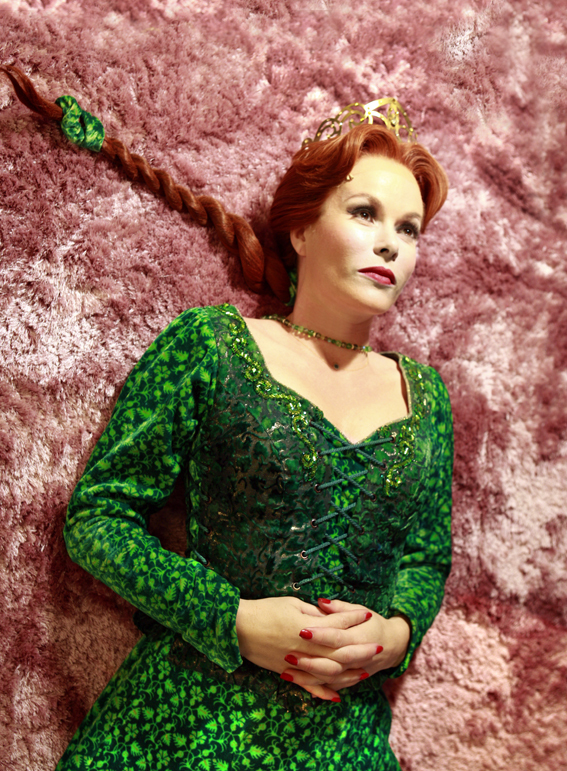 Amanda Holden, Shrek, Theatre Royal Drury Lane, 2011. Image courtesy of Simon Annand and via www.ideageneration.co.uk. The gallery space here is fundamentally a large segmented reception area and doesn’t really do justice to the works. Idea Generation Gallery. Own photograph. Notwithstanding this, the works are entrancing. At the push of a button, Annand is able to capture something magical. These works are much more than mere snapshots. The honesty of the photographs presents a hidden insight into the normally off-limits world of theatre. 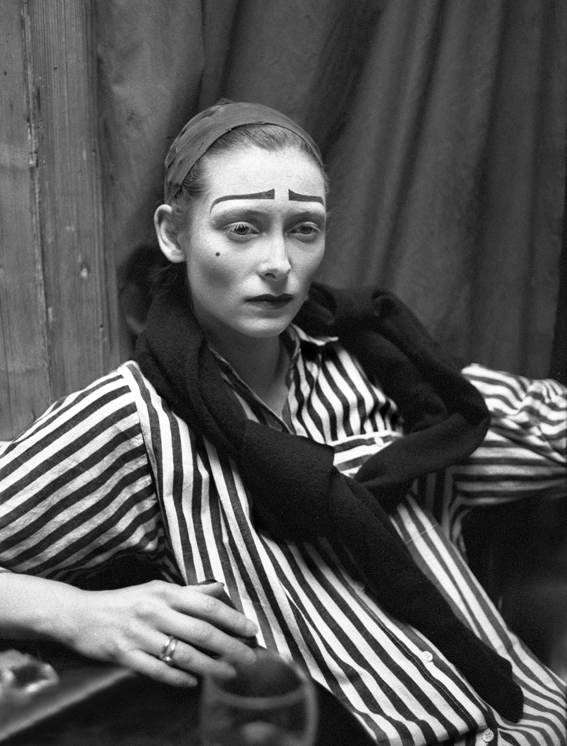 Tilda Swinton, Mozart and Salieri, Almeida Theatre, 1989. Image courtesy of Simon Annand and via www.ideageneration.co.uk. Plus, the exhibition is also handily situated two minutes from The Albion, the perfect place for a pit stop! Simon Annand: The Half is at the Idea Generation Gallery until 8th April, www.ideageneration.co.uk. A free hour during the afternoon is always somewhat tempting and yesterday, when a meeting was cancelled, I afforded myself the opportunity to go shopping to peruse the spring collections. Well, a girl’s got to do what a girl’s got to do! I ended up arriving at the Lisson Gallery laden with shopping – something I generally try to avoid. This did mean that I needed help with photography as my hands were full and given the choice of carrying my shopping or the camera my very able companion opted for the latter which helped me no end (thanks go to him). Coming out of the Bakerloo Line station exit at Edgware Road makes getting to the gallery much simpler and I was there in seconds, joining the masses who were already congregating in the courtyard, gossiping and drinking. 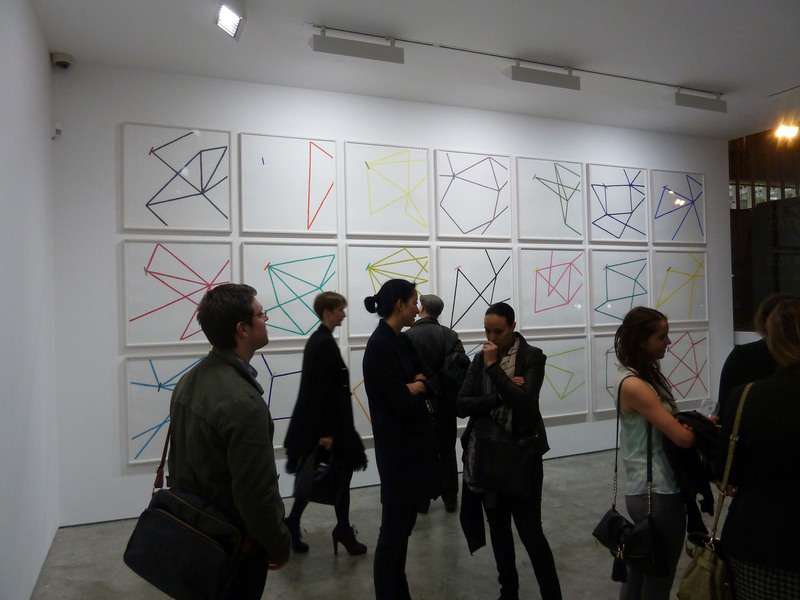 Lisson Gallery is currently showing three exhibitions across their two spaces on Bell Street. In the first gallery is Dan Graham’s Pavilions which includes a range of pavilions and models as he explores the relationship between these architectural environments and those who inhabit them. 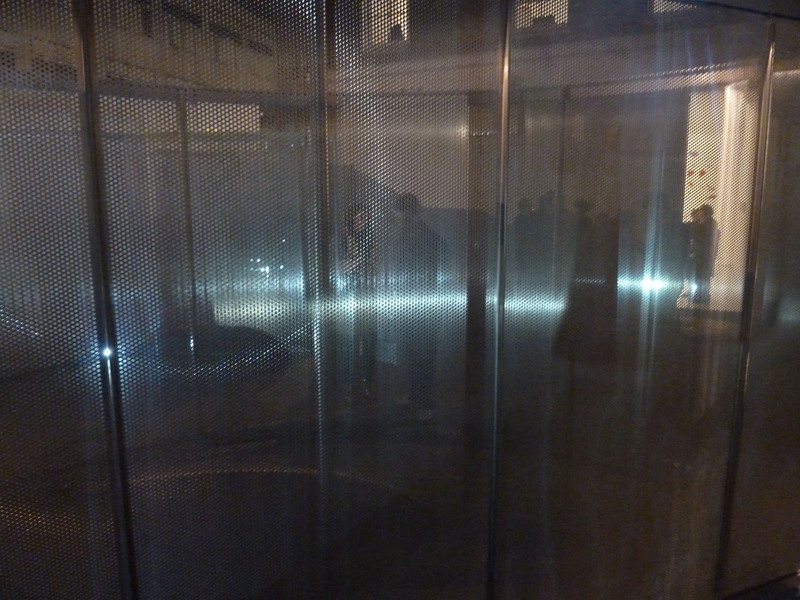 Dan Graham, GRAD 1 10004-1, 2011. Own photograph. It is difficult to establish whether these are fine art sculptures or architectural installations, whether they are functional or purely aesthetic but there’s actually no reason why they can’t be both. The pavilions are made of steel, mirror and glass, creating disorientating spatial effects as one sees ghostly figures stuck between the prison-like walls. The spectator is implicated here as our own reflections become manifest in the installation as well as indulging in the voyeurism of watching others glide through the pavilions. This effect is created by Graham’s use of two-way mirror glass that is both transparent and reflective. The physical reality of those around us becomes blurred with the reflections as Graham’s pavilions create shifting perceptions where we lose ourselves in these semi-virtual spaces. Dan Graham, GRAD 1 20001, 2011-12. Own photograph. The work outside was particularly striking, seen in the darkness of a spring evening it perfectly captured the mix of virtual and real, earthly and ethereal. The boys enjoyed posing in the works which became playpens as well as pavilions. Dan Graham, GRAD 1 20002, 2011-12. Own photograph. 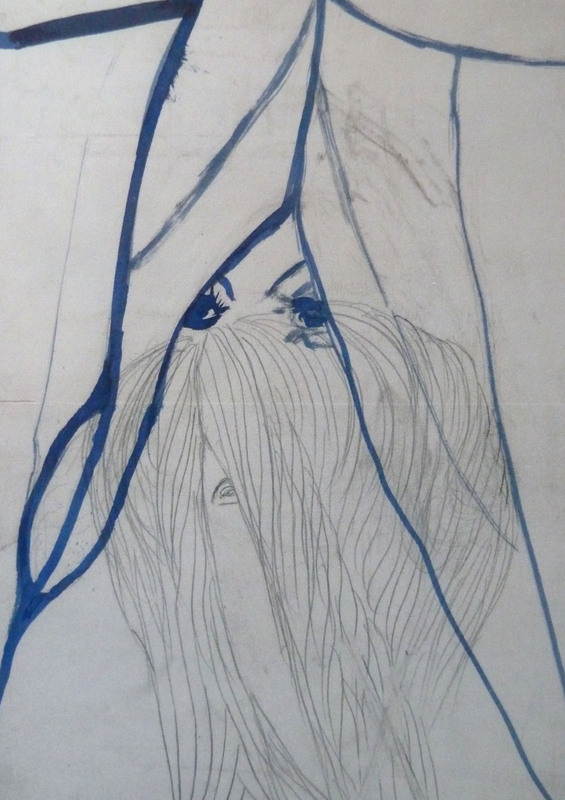 Also in this gallery are drawings by Jorinde Voigt. In contrast to the intrigue of Graham’s works, at first sight I thought these lacked imagination. The large-scale works on paper are composed of intricately drawn networks of sweeping arcs, arrows, lines and labels recalling written recordings of sonic vibrations. 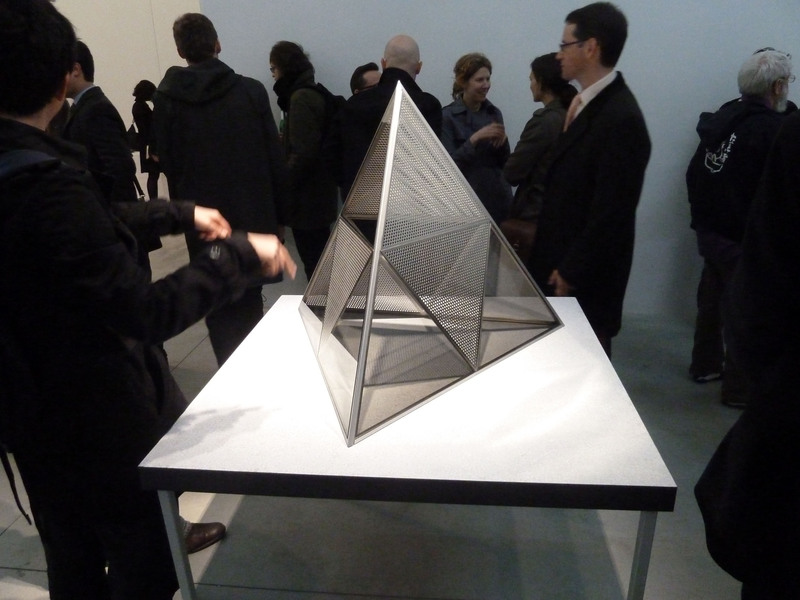 However, they are not as simple as they initially appear and Voigt makes use of a unique visual language to create her own complex score that attempts to record the physical world in intense algorithmic detail. The concept behind the drawings is intriguing but the mystique and skill required here and the aim of the works is not apparent without explanation. Jorinde Voigt, VOIG 100001, 2010. Own photograph. 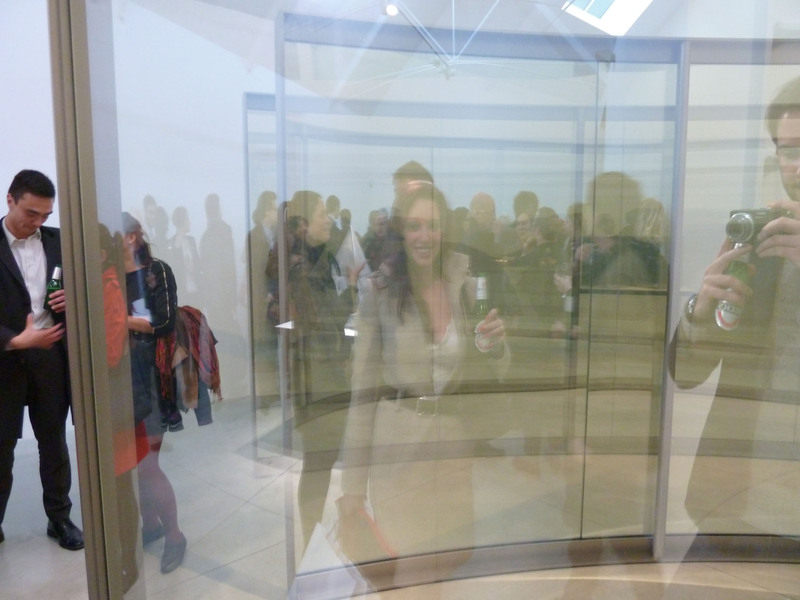 It was time to follow the trail of people, walking from gallery to gallery with beer in hand. The second gallery is entirely taken over by Spencer Finch who wished to get back to basics, making something from nothing. This new body of works explores his focus on light and colour. The exhibition certainly covers a wide-range of media and, for me, this meant the show lost some of its focus although it does illustrate Finch’s skill and diverse training. Ex Nihilo is different to his previous work as Finch explains that he was trying to find a middle ground between representation and abstraction. 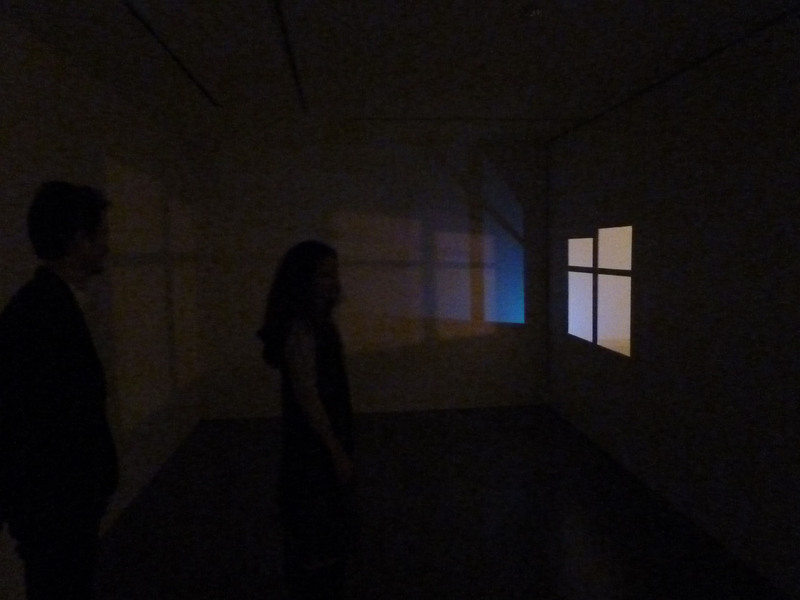 Spencer Finch, Paths Through the Studio, 2012. Own photograph. Darkness, seen in the ground floor gallery, really does test the viewer’s sense of space. A lightbox is used to create darkness, which Finch feels is a form of light, and it takes a few moments for your senses to re-adjust to this new glowing form of dark light. 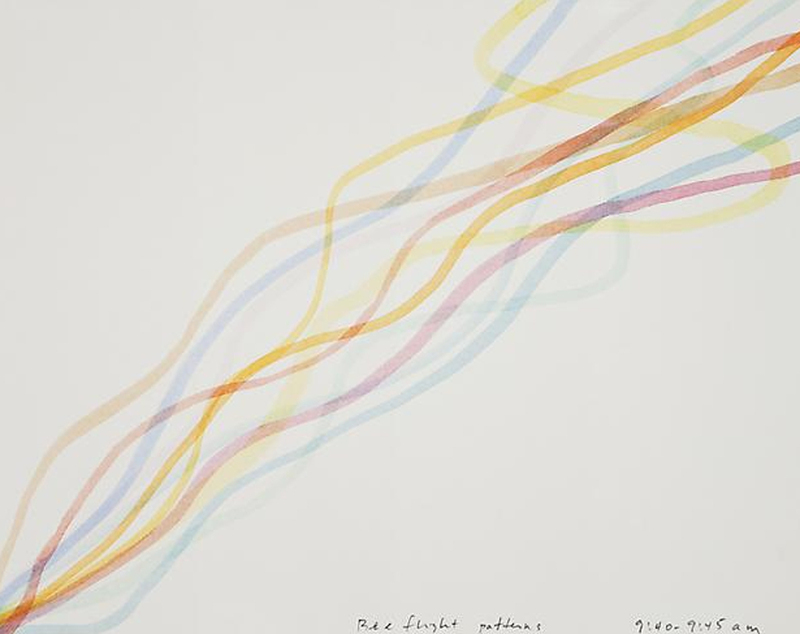 Spencer Finch, Bee Flight Patterns, 2011. Image via www.lissongallery.com. The works really do lead us through Finch’s studio routine; one lightbox shows the view across Brooklyn from his studio, one work plays with the fallen flower petals that lay on his kitchen counter and another traces the flight patterns of some bees who took residence under the porch near his studio. Studio Window (Infrared, January, 25 2012, Morning Effect) considers the temperature changes and follows the sun’s journey that day as Finch attached 69 thermometers to his studio window. There is no doubt that these works are quirky and have an inherent connection to Finch’s life. Spencer Finch, Paper Moon (Studio Wall at Night), 2009. Image via www.lissongallery.com. Upstairs in the gallery is an installation that re-creates the effect of the night-time shapes and shadows caused by the reflections of the street lamps that appear in his studio. The car headlights from the street create a bright, fast-moving, blue light that Finch finds mesmerising and he has conjured a work that is both theatrical and playful while not taking itself too seriously. Spencer Finch, detail of Paper Moon (Studio Wall at Night), 2009. Own photograph. These three exhibitions are certainly varied in subject and form. There have been more striking shows at Lisson in the past but these are interesting, if not edgy, and show the range of their artists. Dan Graham: Pavilions, Jorinde Voigt: KONNEX and Spencer Finch: Ex Nihilo are all at Lisson Gallery until 28th April 2012, www.lissongallery.com. Since I popped to Kenwood during the week I have realised that I don’t make the most of the art on my doorstep. 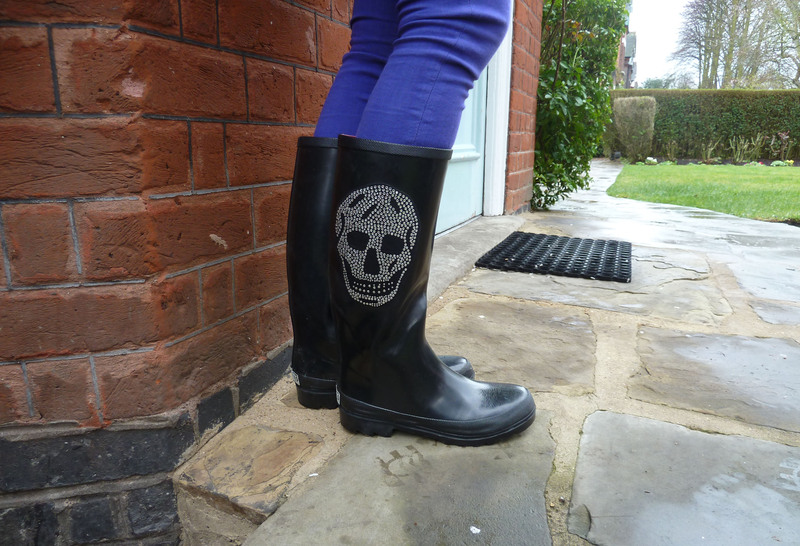 And so, on this particularly grey and rainy day, I donned a pair of wellies and set off for the Freud Museum. 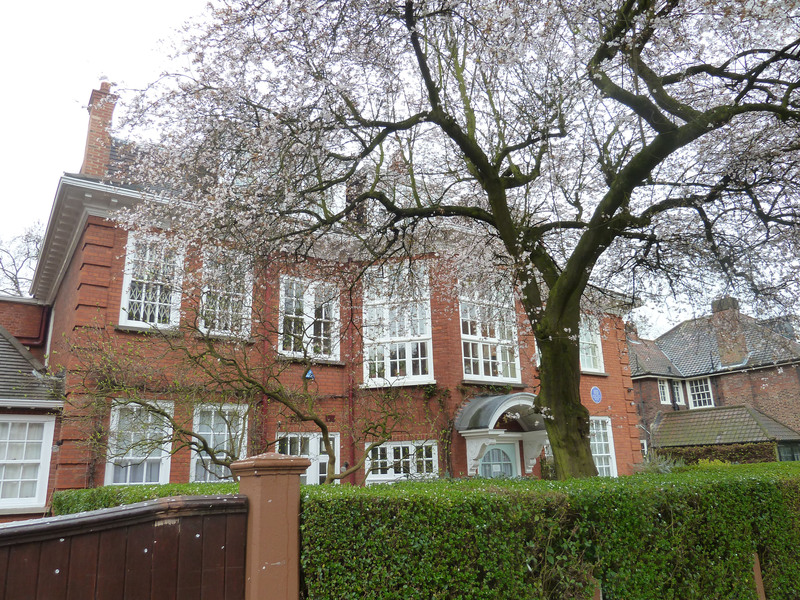 In a beautiful residential street in Hampstead is the house where Sigmund Freud spent the last year of his life. 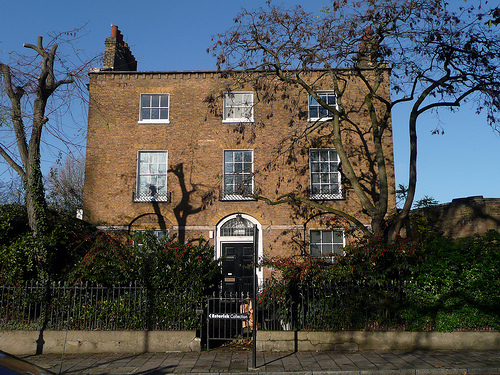 The Freud Museum, 20 Maresfield Gardens. Own photograph. Watching the traffic warden walk up and down with his camera, I had to sit in the car for 20 minutes waiting until the residents’ bays were available for everyone which gave me ample opportunity to admire the exterior of this gorgeous red-brick, revitalist, Queen Anne style house. 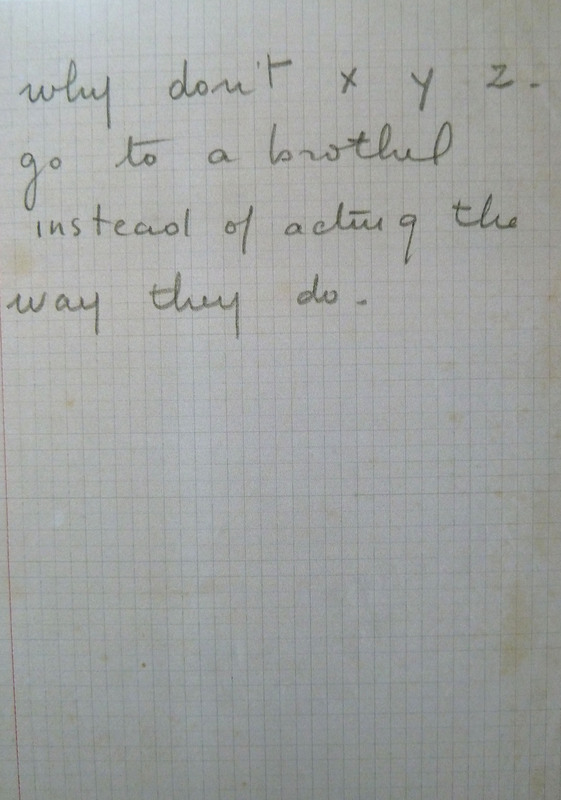 Freud’s daughter Anna (along with his wife, sister-in-law and housemaid) continued living at Maresfield Gardens after his death in September 1939 and, on Anna’s death in 1982, in accordance with her wishes, the house was turned into a museum. 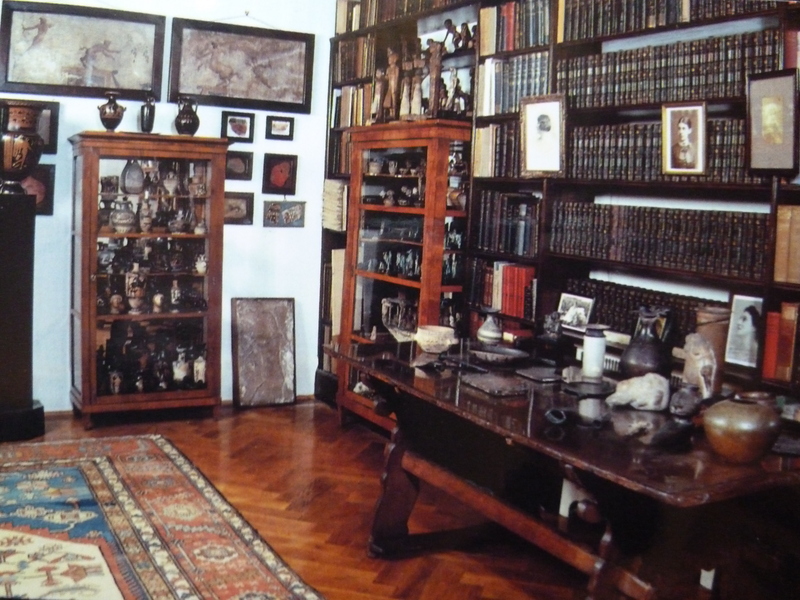 It contains Freud’s collections of antiquities with around 2,000 items filling cabinets, shelves and every conceivable surface. It also houses Freud’s extensive library as well as memories of Anna’s own research; there is a room specifically dedicated to her upstairs which explains that she was a keen weaver and a knitting enthusiast, hence the presence of looms in the house. 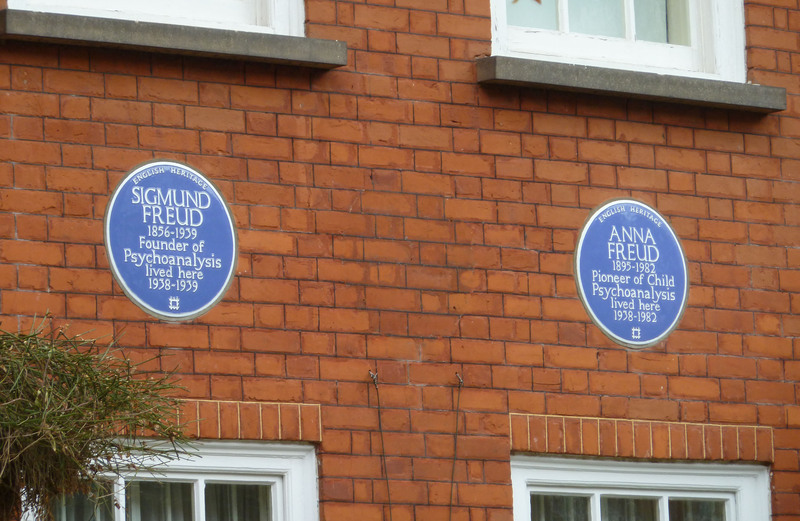 Plaques on Freud’s House. Own photograph. The study and library are preserved as they were at the time of Freud’s death and these take up a large portion of the ground floor. It is a mark of Anna’s devotion to her father and acknowledgement of the importance of his work that these rooms remain untouched – his spectacles still sit on his desk. Freud’s Study. Image via www.freud.org.uk. Here, visitors can see the original analytic couch (a gift from a grateful patient) where patients would reveal everything that came to mind and where psychoanalysis was born. 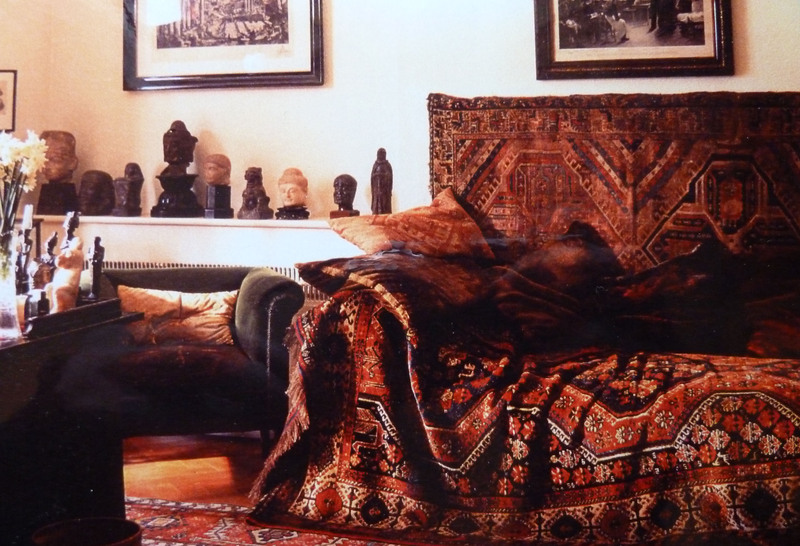 This is the heart of the house and reflects the complexity and diversity of Freud’s life – colourful oriental rugs carpet the floor, antiquities litter the shelves and the walls are lined with books. The guide to the house discusses Freud’s obvious passion and dedication to collecting. In fact, everybody seemed to be leaving the Museum with a shopping bag, their interest having been sparked by this remarkable property. Freud’s couch. Image via www.freud.org.uk. Freud’s eclectic collection of furniture and art can be seen across the rest of the house too. 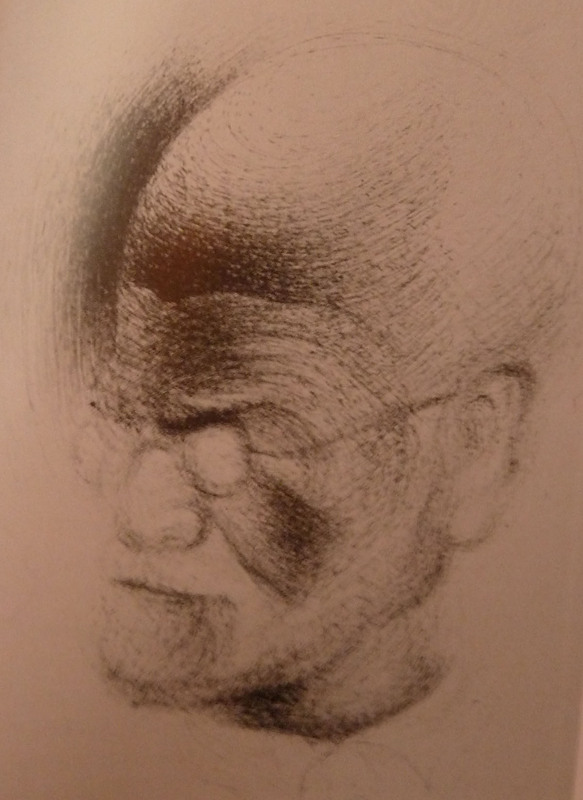 This includes portraits of him by Ferdinand Schmutzer and Salvador Dali – a work on blotting paper that shows Freud’s head based on the shape of a snail. Salvador Dali, Portrait of Sigmund Freud, 1938. Image via www.freud.org.uk. The museum regularly holds special exhibitions and it was mainly for this reason I was visiting today. Heading into the conservatory (now the shop) to buy entrance tickets affords a lovely view of the garden which was very important to Freud, who reflected his own interests through the changing seasons. It has also been preserved and Anna’s trowel still rests beside a terracotta flower pot. Today, the garden is occupied by a Louise Bourgeois spider, one of the most enduring images from her oeuvre. This marks the start of Louise Bourgeois: The Return of the Repressed which shows the impact of psychoanalysis on her art and thinking. Although she was always ambivalent to pigeon-hole her work into one genre, she readily admitted that her pieces were a form of psychoanalysis – a confessional art that allowed her to express some of her complicated feelings about her past and come to grips with her anxieties, directly accessing her unconscious. She was also fascinated by Freud and, as part of the exhibition, the Museum has republished her essay Freud’s Toys, a piece in response to an exhibition of Freud’s collection, with a short introduction from the curator, Phillip Larratt-Smith. 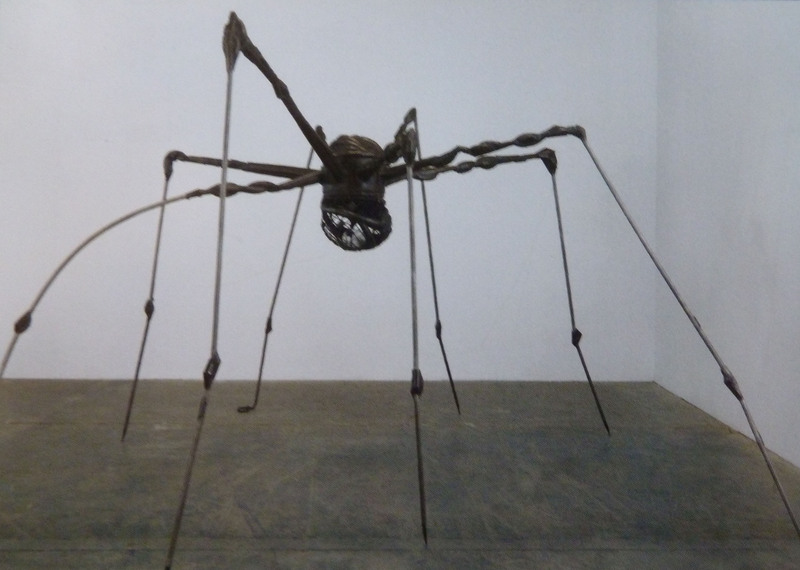 Louise Bourgeois, Spider, 1994. Image courtesy of Hauser & Wirth and Cheim & Read and via www.freud.org.uk. 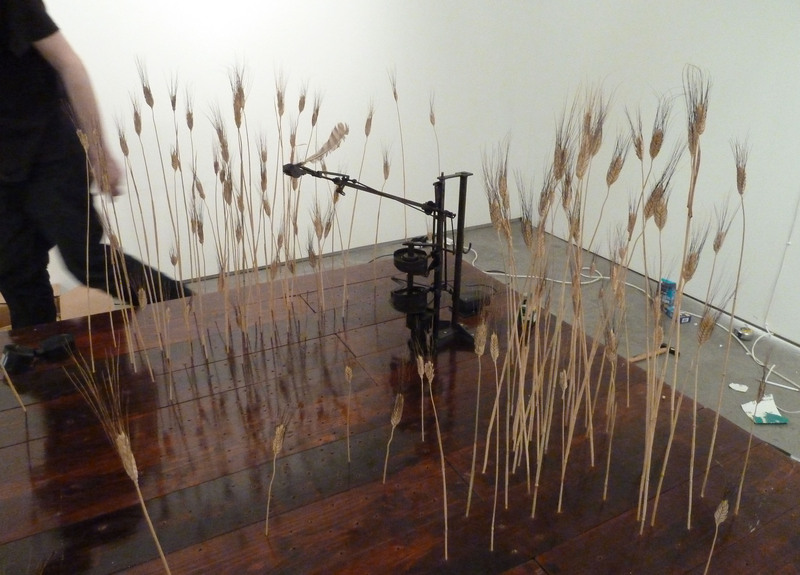 When Bourgeois died in 2010 she had given Larratt-Smith permission to display her newly discovered writings alongside a series of sculptures. Viewing them side-by-side, in the house of the father of psychoanalysis, allows us to see how Bourgeois found sculptural equivalents for the psychological states of fear, guilt, aggression, and so on. 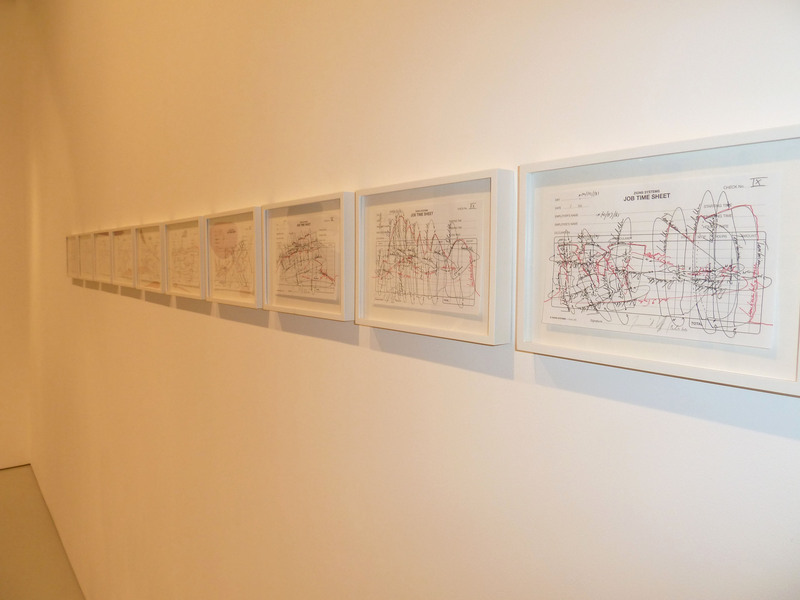 The exhibition seeks to offer a unique insight into Bourgeois’ cathartic practice, looking at her art and writings as a whole. The dining room, which opens off the conservatory is given over to the first room of the Bourgeois exhibition and includes the work Knife Figure, 2002, a fabric variation of her earlier femme couteau. Here, the woman’s identity has been displaced as her head has been replaced by an attacking knife. In Freudian terms, the knife may be seen to take on a phallic form warding off the fear of castration hence the amputated leg. Bourgeois’s parents made a living repairing and restoring tapestries so she grew up surrounded by textiles – it was this early exposure to fabric that led to it being such a vital component of many of her works. Louise Bourgeois, Untitled (double sided), c. 1960. Image courtesy of Hauser & Wirth and Cheim & Read and via www.freud.org.uk. We are afforded a more personal experience by seeing her work in such an unusual, intimate setting. Although it was busy, the Freud museum can only accommodate around 200 visitors a day so it’s never going to be swamped. Half way up the stairs, flooded in light from the large bay window, is Dangerous Obsession, 2003, where a fabric figure holds a red glass sphere as one would cradle a baby. The glass orb is fragile, symbolising vulnerability, while its colour represents violence, jealously and intensity. The work suggests ideas of being fixated on something lost or unobtainable, possibly an object of love, but it points to the danger of this psychological state and shows its consequences of melancholy, and possibly even insanity. 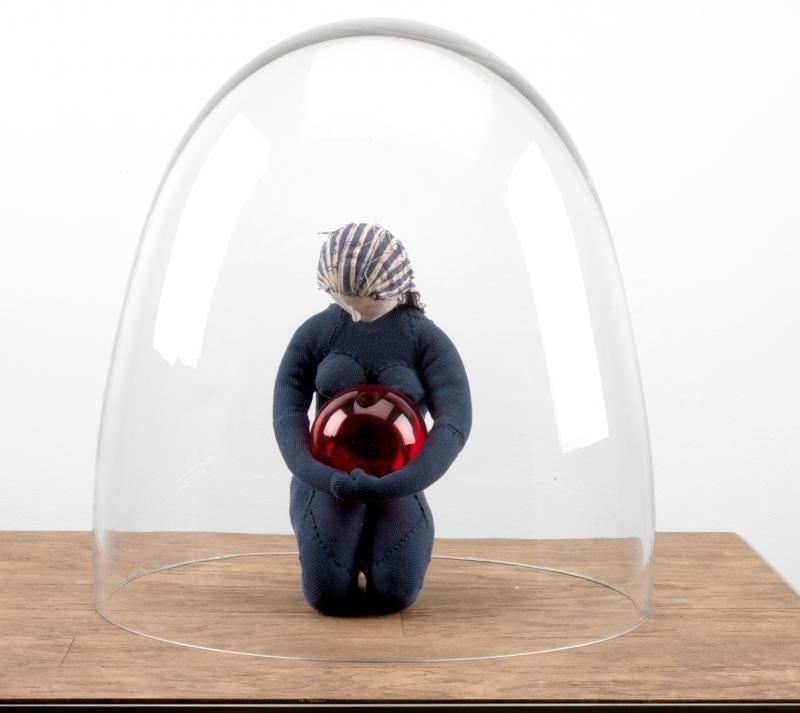 Louise Bourgeois, The Dangerous Obsession, 2003. Image courtesy of Hauser & Wirth and Cheim & Read and via www.theartsdesk.com. Two of the three upstairs rooms are also given over to the exhibition. 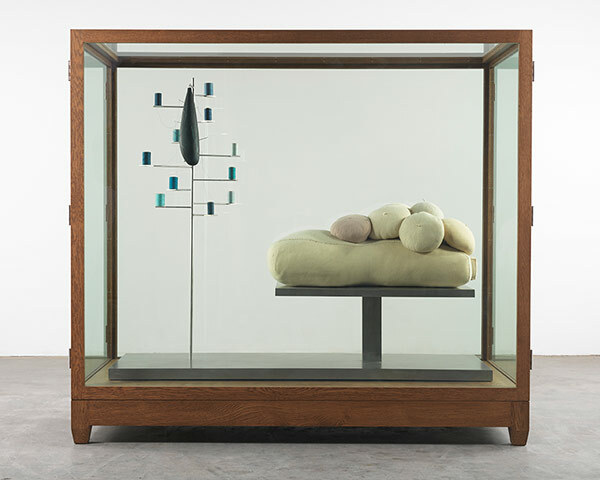 Across Bourgeois’s work we see her interest in ideas of confinement and captivity through her use of vitrines and cages. Cell XXI (Portrait), 2000, is a fabric form made from towels that hangs from the roof of a caged cell. The work is hard to categorise; it is both figurative and abstract, a fusion of male and female with two faces that are asymmetrical yet complementary. There is another comparable work here from 2001 that includes mirrors in the corners that offer different perspectives of the different faces. The hanging nature of the heads means that they are ever-changing, always susceptible to new configurations and perceptions. 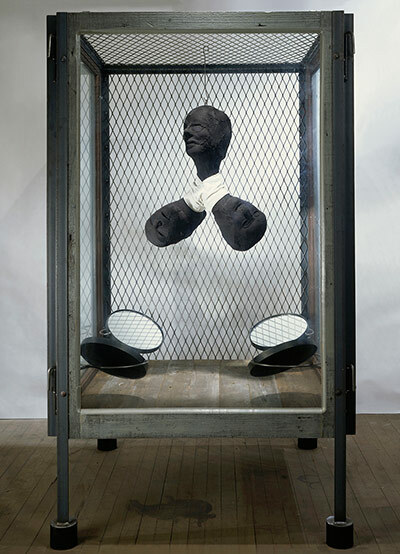 Louise Bourgeois, Cell XIV (Portrait), 2001. Image via www.guardian.co.uk. Also upstairs is Untitled, 2000; on one side, a multiplied collection of breast-like forms (made from Bourgeois’s collection of berets) have been clumped on top of a fabric torso. The use of the breast and the maternal metaphor is frequent in the artist’s vocabulary as she looks at herself as mother to three sons and worries about her increasing dependence on others. The form on the left is an abstract rubber element that is surrounded by spools of thread – the thread references both her mother’s profession and the delicacy of relationships. The needles in the rubber suggest the pinpricks of memory, trauma and anxiety. Resembling a figure laid out for surgery, the whole work shows Bourgeois’s increasing anxiety and her fear of abandonment. Louise Bourgeois, Untitled, 2000. Image via www.guardian.co.uk. Psychoanalysis has never been one of my strongest areas but this exhibition clearly elucidates Bourgeois’s artistic development as she struggles to come to terms with her past. Through her writings she records her emotions and anxieties, analysing the conflicting feelings of her three roles – artist, wife and mother. They enable us to see how active her engagement with psychoanalysis was until the end of her life, defining the connections between her thought and sculptural processes. Louise Bourgeois, Loose Sheet, c. 1957. Image courtesy of The Easton Foundation and via www.freud.org.uk. This exhibition is just the right size, neither too small nor too big – it’s a revelatory insight into Bourgeois through Freud and it sits perfectly in the wonderful, domestic setting of Freud’s house. Louse Bourgeois: The Return of the Repressed is at the Freud Museum until 27 May 2012, www.freud.org.uk. I don’t often make it over to the Estorick Collection – a gallery which I still think is one of the most unknown and undervalued in London. This afternoon I decided to take a break from the computer and drive to Canonbury. I know the Estorick is shut on a Monday (having nearly been caught out in the past) but, be warned everyone, it is also shut on a Tuesday. I arrived to find the gates locked. I was not a happy bunny to say the least. So the challenge arose to find somewhere to visit on the way home in order not to have a wasted journey. My choices were Highgate Cemetery (but I didn’t really fancy walking around in the cold), Keat’s House, Freud’s House (also closed on a Tuesday (!)) or Kenwood House (one of my all time favourites). Kenwood won! If you haven’t been then this really is a must-visit property. Known for its amazing summer concerts, which have not been without controversy over the past few years, and for having appeared in many films including Notting Hill, Kenwood, owned by English Heritage, is set in the parkland of Hampstead Heath. Kenwood House. Image via www.english-heritage.org.uk. The house dates from the 1600s but, on acquisition by Lord Mansfield in 1754, was remodelled into what we see today by Robert Adam, who worked on the stucco frontages, the North Front portico, the library wing and the third storey. It is acknowledged to be one of England’s greatest stately homes and an obvious identifier of Adam’s style; this was a terribly important commission for Adam due its position and would have propelled him into the awareness of the London aristocracy. 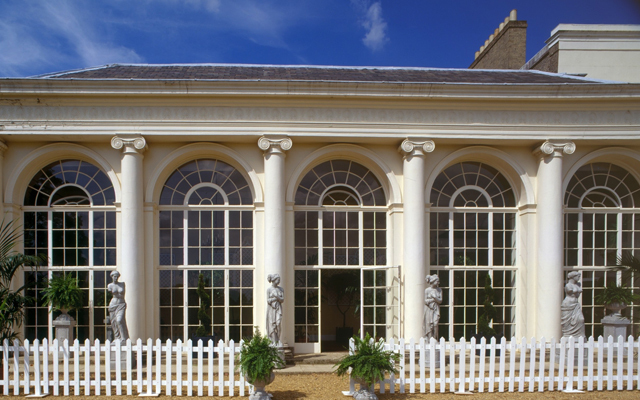 There have always been problems with his famous stucco exterior and Lord Mansfield apparently commented that it would have been cheaper to cover the whole front with marble. Some of the details that are there today are replicated in fibre glass from Adam’s engraving. Of course, the building has undergone many more changes since Adam’s involvement, including, in 1793, the addition of two wings by George Saunders that flank the entrance portico, but it still preserves the grandeur and elegance that Adam intended. 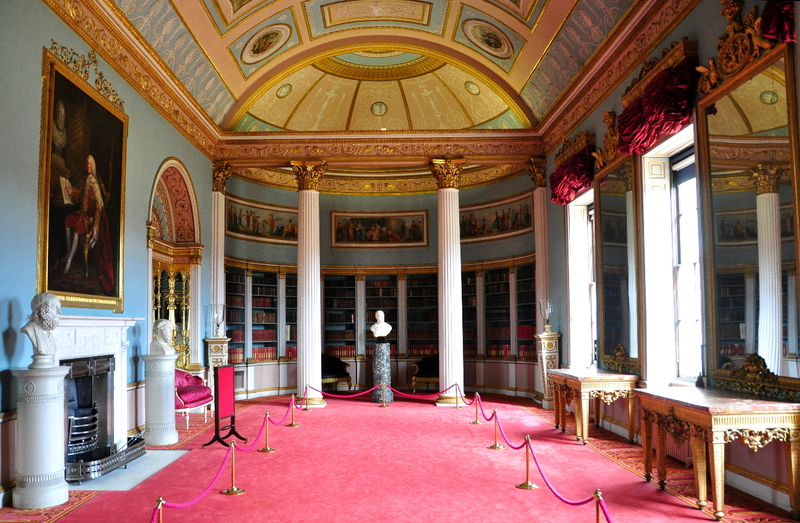 The library, then called the Great Room, is the epitome of Adam’s work, his tour de force and the house’s crowning glory. It would have appeared even more splendid in the 18th century as the climax of Adam’s suite of rooms. Remarkably, it remained nearly unaltered until 1922 when some of the furniture was sold at auction. It’s yet another place where I did some work experience during which I helped to conserve and clean not only some of the paintings but the library. Cleaning has never been top of my list of favourite things but there was a bit more to it than dusting and vacuuming. The Great Room at Kenwood. Image via http://londonbytes.wordpress.com. Kenwood also contains the Iveagh Bequest, the art collection of Edward Cecil Guinness, great grandson of the founder of the Dublin brewery. He retired early to devote himself to the collection of art and acquired works by Gainsborough, Romney, Reynolds, Turner, Hogarth as well as a self-portrait by Rembrandt and Vermeer’s Guitar Player, exemplifying his late style. Although the house couldn’t be more English in character it provides a setting for global art, an exemplar collection of the very best of European paintings. 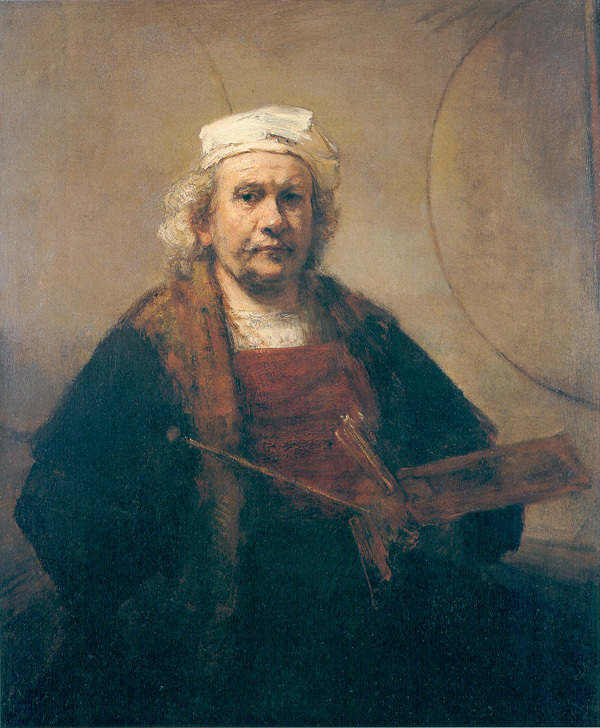 Rembrandt van Rijn, Self Portrait, 1665. Image via www.rembrandtpainting.net. Specialising in the 18th century, it’s hard for me to pick favourites but one of my personal highlights is Hogarth’s Taste in High Life which shows the folly and superficiality of aristocratic taste. A forerunner to Marriage à la Mode, the humour is typically Hogarthian showing two heavily caricatured connoisseurs in raptures over a mundane cup and saucer. 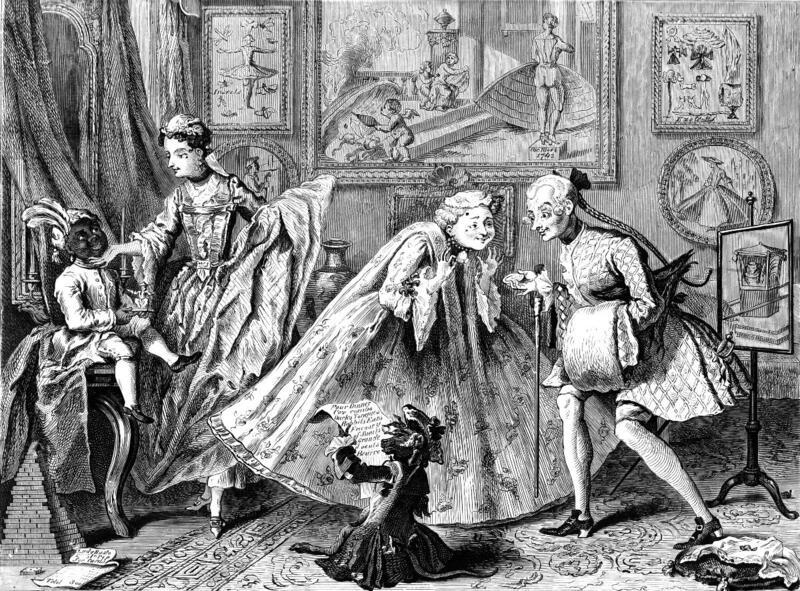 Another aristocrat examines a black pageboy, a satire on his masters and the embodiment of the Orient and sexual excess. There is also a gorgeous small Constable of Hampstead Heath with Pond and Bathers from 1821, a view that Constable often painted to aid him with his focus on the sky. Print of William Hogarth, Taste in High Life, 1746. Image via www.vam.ac.uk. Outside, the landscaped gardens lead down to the beautiful lake and acres upon acres of muddy marshland. I always end up coming to Kenwood without my dogs despite this being a dog walkers’ paradise, probably because I appreciate the house too much and can spend time with my two slobbery Clumbers any day. 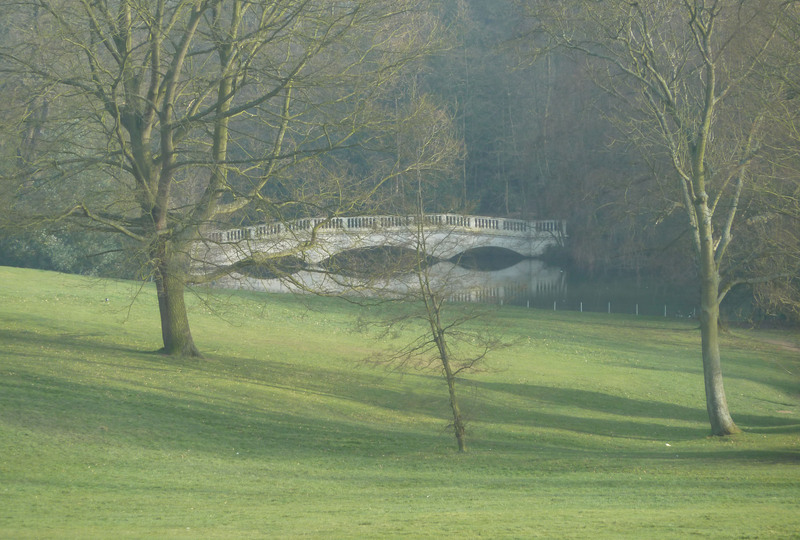 The fake bridge at Kenwood. Own photograph. 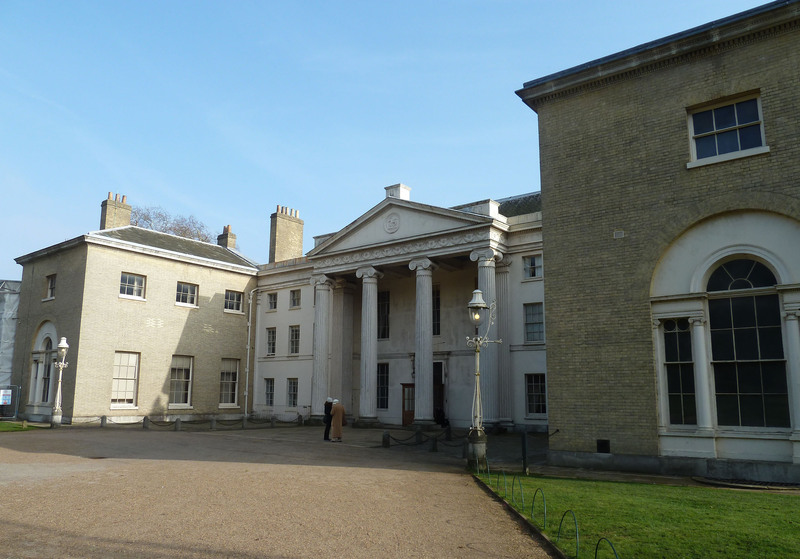 You’ll have to hurry to Kenwood as it is scheduled to close at the start of April for a £5.3 million restoration project that will include vital roof repairs, the replacement of the skylights, repointing and sweeping of more than 100 chimneys and the stripping down and repair of the façade. Fear not! When I first heard this news I thought what a travesty it was to shut away such a wonderful collection even if repairs are essential but English Heritage has had great foresight and their incredible art collection will tour to three American galleries while the Vermeer will be loaned to the National Gallery. The grounds, however, will still be open so there’s the opportunity to picnic and sunbathe, admire the contemporary sculpture and watch the restoration taking place but if you don’t manage to visit the house this month you’ll have to wait until late summer of next year. Kenwood’s Orangerie. Image via www.omgimgettingmarried.com. Kenwood is a beautiful place to visit and, amazingly English Heritage still open it to the public without charge. I wonder if this will change post-restoration. In the meantime, it is truly splendid and somewhere I don’t pop to often enough despite its close proximity to my home. I’m glad I was able to see it again before it closes and was able to turn my earlier misfortune to my advantage. 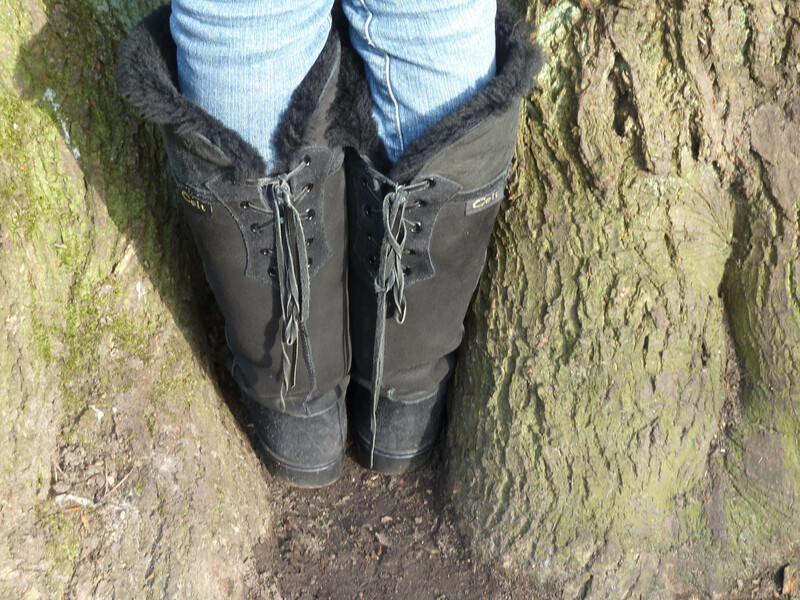 Plus, rather surprisingly, I was even in appropriate footwear for a romp through the grounds. 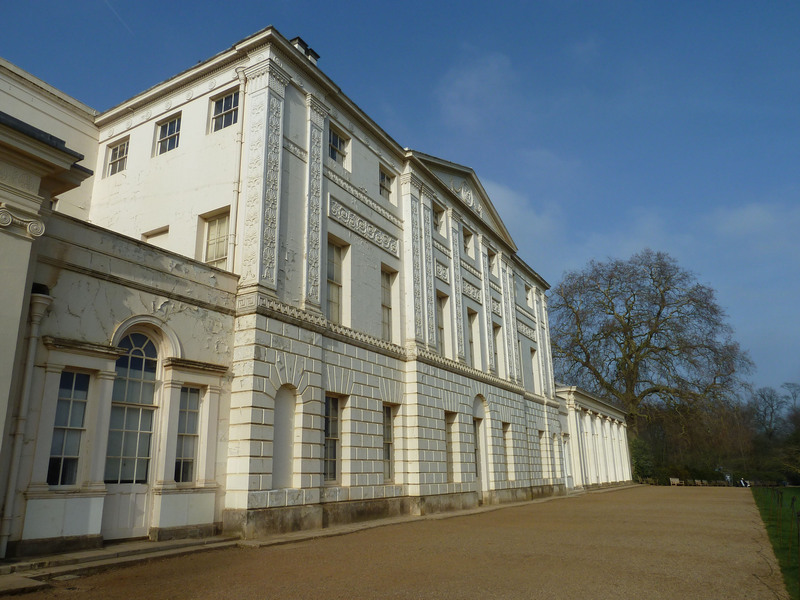 Kenwood House is run by English Heritage, http://www.english-heritage.org.uk/daysout/properties/kenwood-house/. It will be open until 31st March 2012. Today (well yesterday by the time you are reading) was hectic and ridiculous even for one of my mad private view evenings. 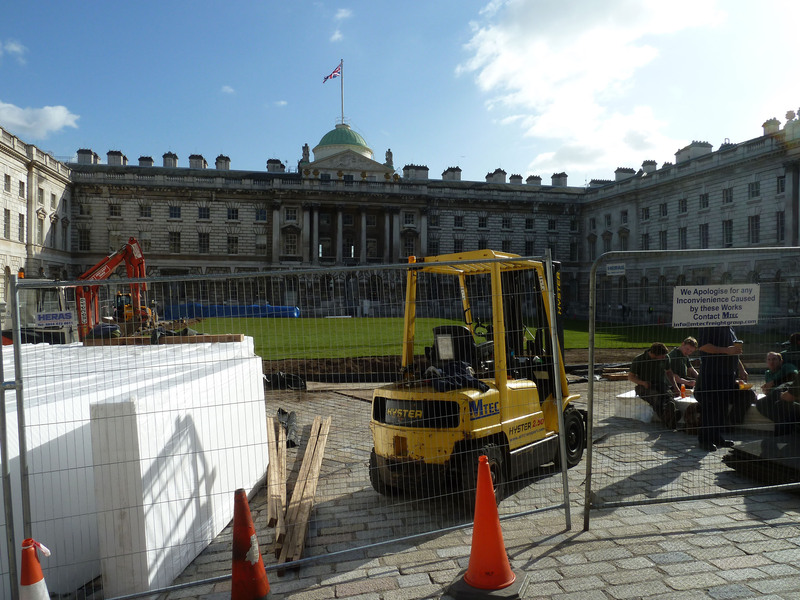 Even before I began the openings, I’d been at Somerset House, where the courtyard is currently being turfed for a brilliant-looking art installation, and visited Michael Ajerman’s studio where I was allowed a look at his amazing current work. His studio is only a five minute walk from Flowers on Kingsland Road. With some of the PVs opening at 4pm and with such a long to-see list, I popped into Flowers for an early sneak peek while they were still setting up and plugging in the works. The artist very kindly got everything going for me so I could have a look. I first met Tim Lewis at another Flowers opening and had only seen one of his works first-hand before this show but they are hypnotic. Mechanisms takes over the downstairs galleries at Flowers with a huge range of Lewis’s works, bringing together some of his most progressive and challenging pieces. Tim Lewis at Flowers, Kingsland Road. Own photograph. His kinetic sculptures are a marvel and require great skill and dedication to make; the electronic programming and physicality entails an extensive period of development for each individual piece. This is Lewis’s passion and he has been making mechanised works since the age of eight so no wonder his ideas are now so advanced. 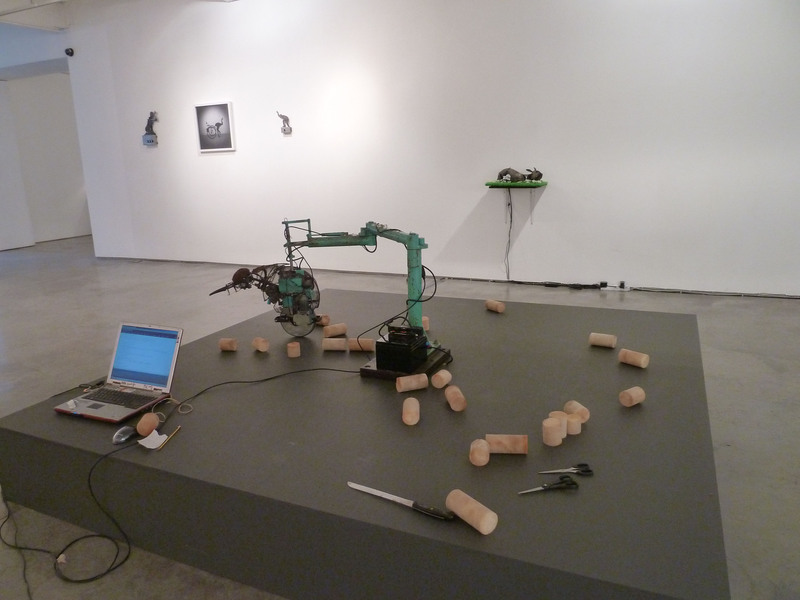 All the works are mesmerising but two stood out for me – Jetsam, a large mechanised bird-like creature, fixed to a robotic arm, is programmed to attempt to build a nest. The creature picks up objects which it stumbles upon moving them to a specified point. It is not affected by human interference and must work within the limits set by the artist. I could have stayed and watched this sculpture on its heart-wrenching, continuous journey for hours. Tim Lewis, Jetsam. Own photograph. 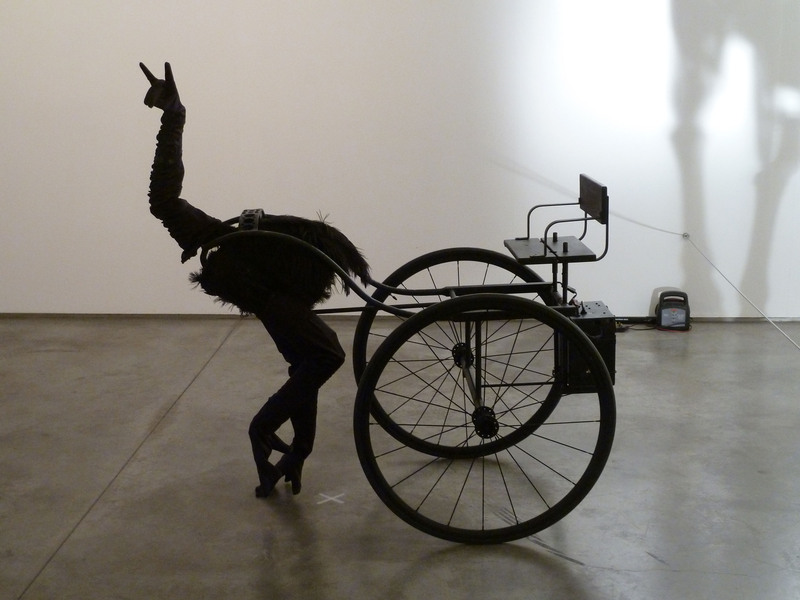 Pony is one of Lewis’s more well-known works; an ostrich-like form, constructed from three mechanical arms, moves across the floor towing an empty carriage. It is an independent entity, slightly alarming but beautiful and reminiscent of a scene from a fairy-tale. Lewis’s works capture a spirit unlike any other – they are fun yet wistful, pondering on the transience and difficulties of life through self-contained forms on pre-determined journeys. Fundamentally, they are just beautiful. Tim Lewis, Pony. Own photograph. I was loathe to leave but felt I should let them finish setting up and I had eight galleries to get to. My next stop was White Cube, Hoxton Square. 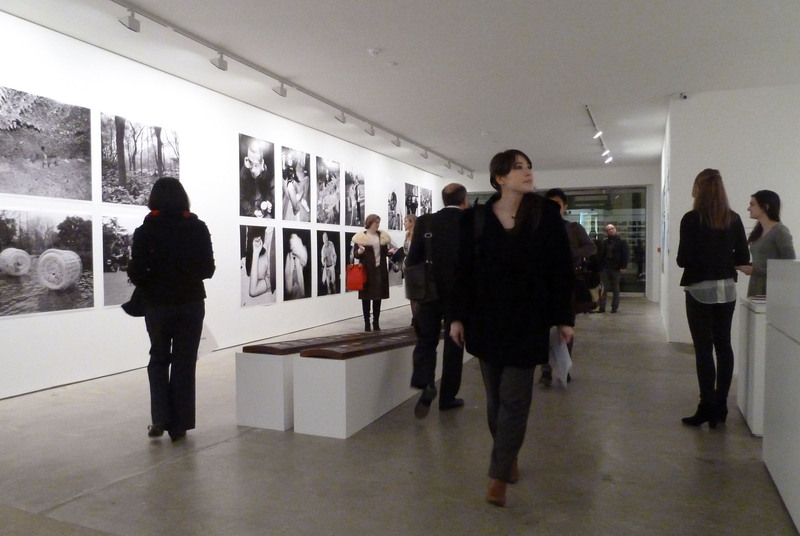 All three London White Cubes were opening tonight with LONDON PICTURES by Gilbert & George. The series consists of 292 pictures in their largest project to date. It is typical Gilbert & George and if you don’t like them (I do) then it’s too late to be converted. Although using their expected formula, these works are approached from a new angle. They make use of nearly 4,000 newspaper headline posters which the artists stole, collected and classified over a period of ten years. Using the language of the media, they present a survey of modern life making us aware of its violence, destruction and terror. Of course, Gilbert & George appear in all the works, staring at us, watching the world go by, haunting the streets of London. 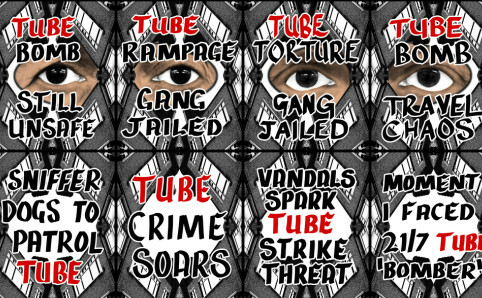 Gilbert & George, Tube. Image via www.timeout.com. They are huge, striking works using predominantly black, red and white. They do not show a pleasant London but one of which we should be fearful. It was somewhat strange seeing the beer buckets outside in the square during the afternoon but, by the size of the crowd gathering, everyone was quickly adapting to this new style PV. 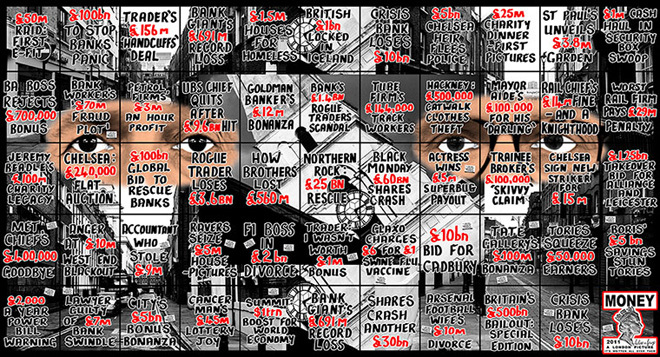 Gilbert & George, Money. Image via www.hubmagazine.co.uk. I continued to White Cube in Mason’s Yard to see some more of the exhibition where the harrowing topics continue – brawl, kill, deaths, jail, paedo. Gilbert & George themselves were at Mason’s Yard chatting happily to visitors along with Jay Jopling and the usual White Cube celebrity crowd. The works are more ‘in your face’ than usual; however blunt the truth is present in every work. Brooding and violent, they show what contemporary society is really like in a collective portrait of London. All this does sound very depressing and while the works may give a powerful message I think it’s important to remember how lovely London is and that we don’t need to fear every step we take. Not that this is the intention of the works, but it’s easy to get weighed down by the violence. 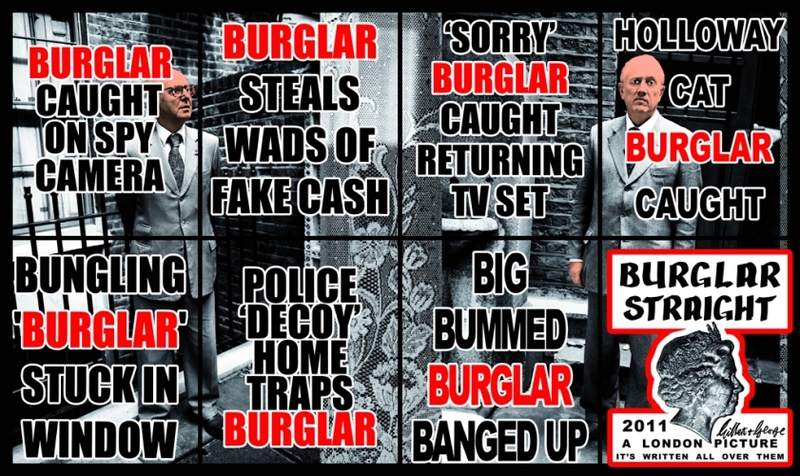 Gilbert & George, Burglar Straight. Image via www.whitecube.com. As I was running to schedule, I hopped in a cab to the Josh Lilley Gallery to see their Sarah Dwyer exhibition which opened at the end of February. Dwyer’s works have incredible painted textures where the surfaces resonate with movement and energy. Through painting in layers and constantly revising her compositions, Dwyer pulls together inchoate shapes and ambiguous forms to suggest something unknown, a manifestation of her subconscious in other-worldly scenes. Her mark-making echoes the stream of consciousness writing of James Joyce with its lyrical forms and ambiguous allusions. Obviously, all art is subjective but these will speak to different people in very different ways as the shapes are open to so many interpretations. Sarah Dwyer, Saudade. Own photograph. Her works hold many influences and the shapes of Soutine and Gorky are evident but the list is endless. Seven large canvases are on show downstairs – the gallery isn’t overloaded but cleverly filled so that the works are allowed room to breathe and space to speak. Dwyer’s paintings are very powerful, fighting for attention with their bold colours and intriguing shapes. This is another winner at a gallery who are consistently showing great talent. Sarah Dwyer’s Falling into Positions at Josh Lilley. Own photograph. It was already proving a good afternoon/evening and I was finding the art energising. Next up was the new Haunch of Venison on Eastcastle Street, another area that is becoming a new art hotspot. This is quite a small space with only two main rooms. We are so used to Haunch’s mega-spaces that everybody kept looking for more but with the crisp Haunch-style aesthetic that we’re used to it’s a great second gallery. Their opening exhibition is Katie Paterson’s 100 Billion Suns which presents a selection of her recent projects where, using a series of sophisticated technologies, she transforms distant occurrences in the universe into objects that we can comprehend on a human scale. One such work is The Dying Star Letters; every time a star exploded, Paterson wrote and posted a letter to communicate this. Through a range of everyday formats, Paterson reduces these distant occurrences into a medium we can easily understand. Katie Paterson, 100 Billion Suns. Image via www.haunchofvenison.com. This is a very subtle exhibition and one that was slightly lost tonight due to the heaving crowd celebrating Haunch’s opening. The new Haunch. Own photograph. Initially, I decided to give Paradise Row a miss and headed to the station. But, after 20 minutes of waiting outside Oxford Circus, due to overcrowding, I decided to walk back to Paradise Row to see Birdhead’s new large-scale black and white photography. The artistic duo are known for looking at daily life in Shanghai; their snapshot-like images form a passage of thought and we are able to follow the artists through their day-to-day activities. Birdhead take over Paradise Row. Own photograph. Downstairs, is an exhibition of work by Justin Coombes. In complete contrast, these are colourful over-saturated images that fuse the fantastical with the everyday. Lots of people seemed to be moving from Haunch to Paradise Row, happy that they only had to walk round the corner for a second helping of art. I did pass other openings in the taxi on my way to Gagosian but, although I tried, I had to admit that I couldn’t manage every gallery opening in London tonight. 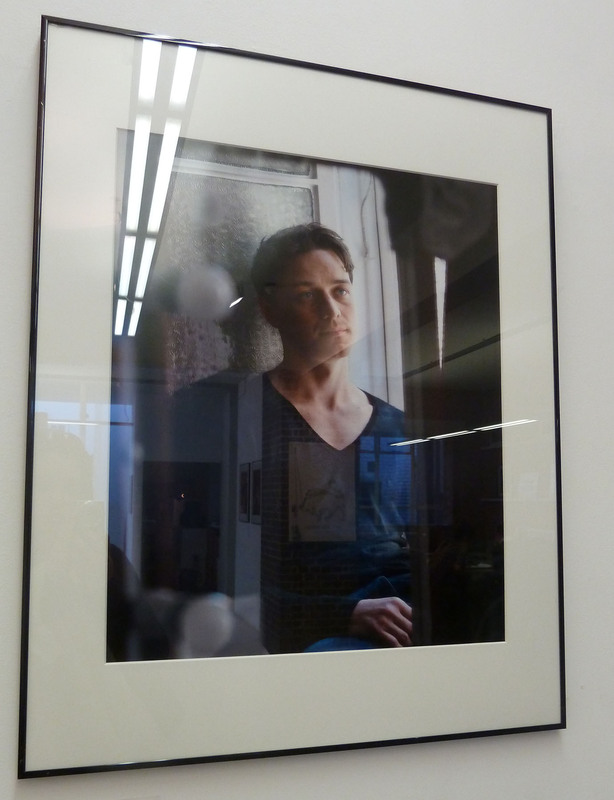 Britannia Street is showing new works by Thomas Ruff. Ruff seeks to test the limits of photography and, over the years, his subject matter has varied hugely as has his form of image-making. 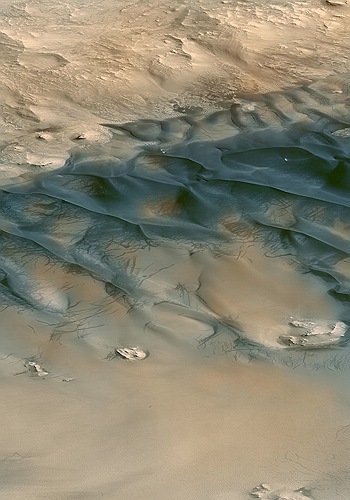 But astronomy has always been a source of interest and this latest body of works contemplates Mars using images sourced through the public Internet archive of NASA. Ruff transforms the fragmentary representations with saturated colours that alter the feel of the landscapes. Thomas Ruff, m.a.r.s. 15, 2011. Image via http://blakeandrews.blogspot.com. He has also worked with 3D-image making and on entry to one side gallery, you can pick up a pair of specially designed 3D glasses. All these did was make me rather dizzy and I preferred the viewing experience without them. These are not photographs as we would expect. The works are impressive, transforming strange and foreign landscapes into a minefield of even more distorted scenes. We are encouraged to look from both near and far, studying the pixelated colour patterns as well as the scene as a whole. As impactful as they are, I didn’t find them particularly exciting – I could take them or leave them and they certainly weren’t as moving as some of the exhibitions I’d just seen. 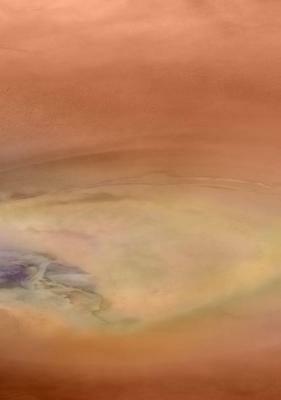 Thomas Ruff’s new works at Gagosian. Image via www.artlyst.com. Gagosian on Davies Street is also showing Ruff’s work but a series of unique monumental nudes. I had to admit defeat and accept this wasn’t one I could squeeze in tonight, unless someone knows how to teleport me from place to place. All galleries now seem to be using their multiple spaces as a whole which means I will probably spend many more nights running across London to get the proper atmosphere of an exhibition. It was time to shrink. 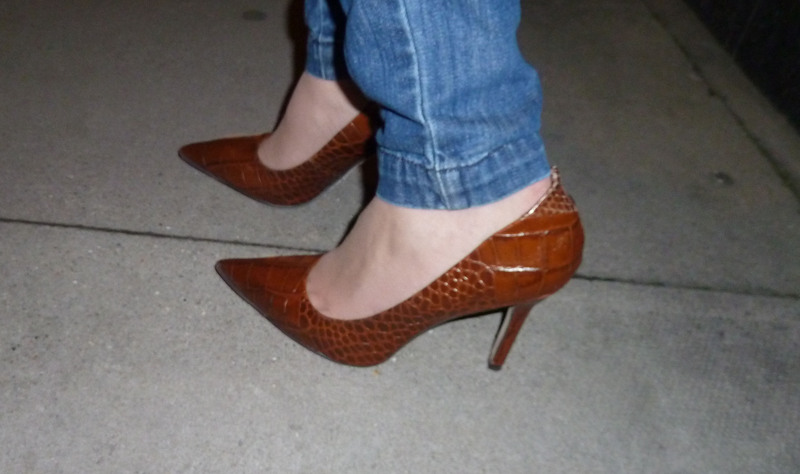 All the walking was taking its toll and I had to sacrifice my stilettos for some more practical footwear so that I could get to my final stop in one piece. 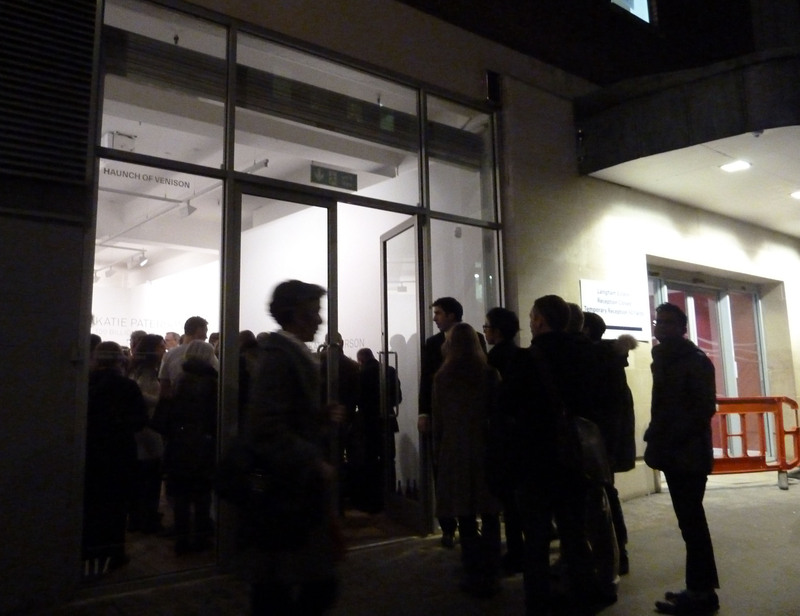 I couldn’t end my evening without seeing the third London White Cube – Bermondsey was packed. It was important to visit all three spaces to get a full sense of the scale of the project. Only visiting one of the galleries felt like walking into a blockbuster show and only bothering to look at one room. The scale of LONDON PICTURES, as always with Gilbert & George, is mind-blowing. Yet, the exhibition at Bermondsey only uses the South Galleries, flowing between three connecting rooms, which shows quite how enormous this gallery is. 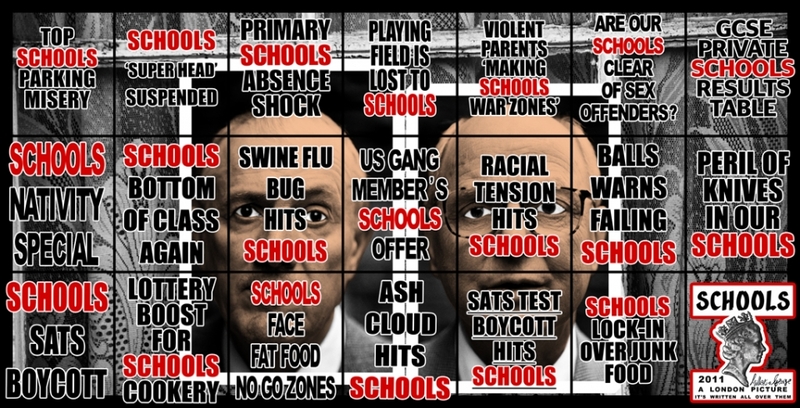 Gilbert & George, Schools. Image via www.whitecube.com. Like me, Gilbert & George were moving between the different White Cubes but they looked more awake than I did. I was ‘done in’ and it was time to buy a weighty, but great, catalogue and limp back to London Bridge to call it a night. I could easily wax lyrical about many of these exhibitions and there are truly some gems here. The brevity of some of the reviews certainly does not reflect their quality but more the quantity I crammed in to one evening. If I’m going to have another night like this I may need to sacrifice my stilettos for skates! 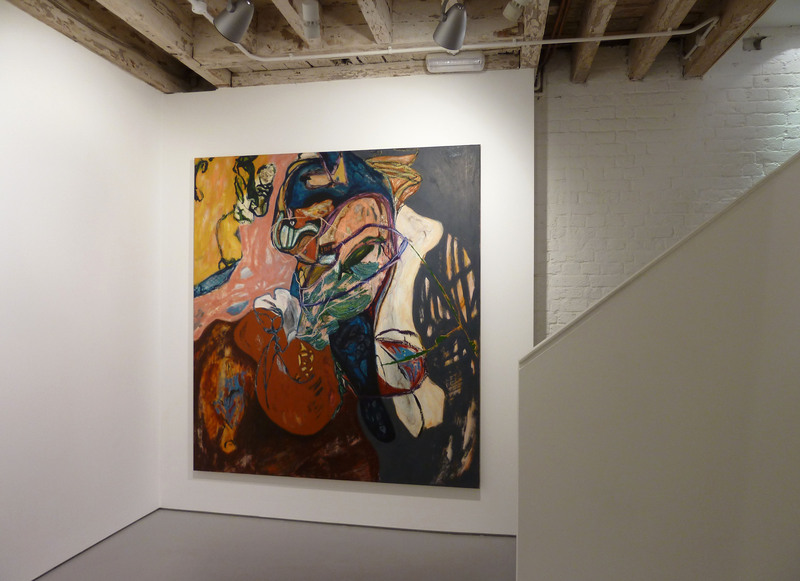 Tim Lewis: Mechanisms is at Flowers, Kingsland Road, until 14th April 2012, www.flowersgalleries.com. Gilbert & George: LONDON PICTURES is at all three London White Cubes until 12th May 2012, www.whitecube.com. 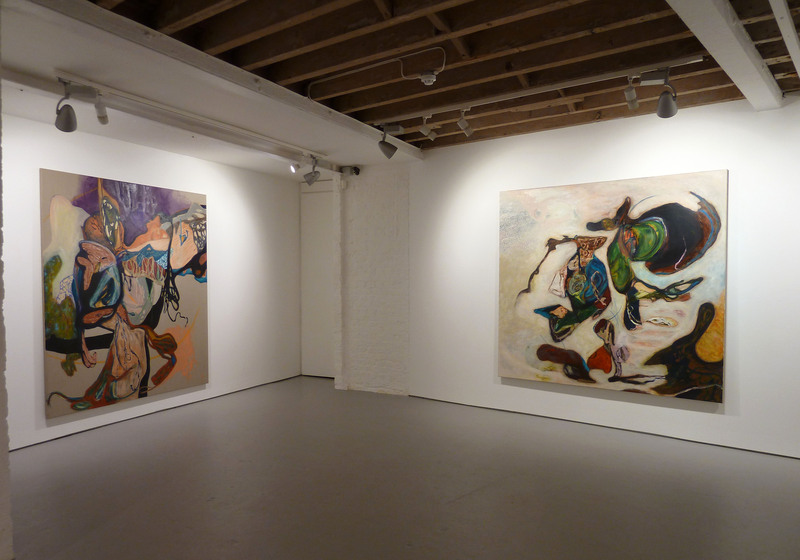 Sarah Dwyer: Falling into Positions is at the Josh Lilley Gallery until 30th March 2012, www.joshlilleygallery.com. Katie Paterson: 100 Billion Suns is at Haunch of Venison, Eastcastle Street until 28th April 2012, www.haunchofvenison.com. Justin Coombes: Halcyon Song and Welcome to Birdhead World Again are at Paradise Row until 7th April 2012, www.paradiserow.com. Thomas Ruff: ma.r.s. is at Gagosian Gallery until 21st April 2012, www.gagosian.com.